Bob Armstrong, CITP, CMILT, is President of Armstrong Trade and Logistics Advisory Services Inc (ATLAS). He is also President of The Chartered Institute of Logistics & Transport in North America (CILTNA). 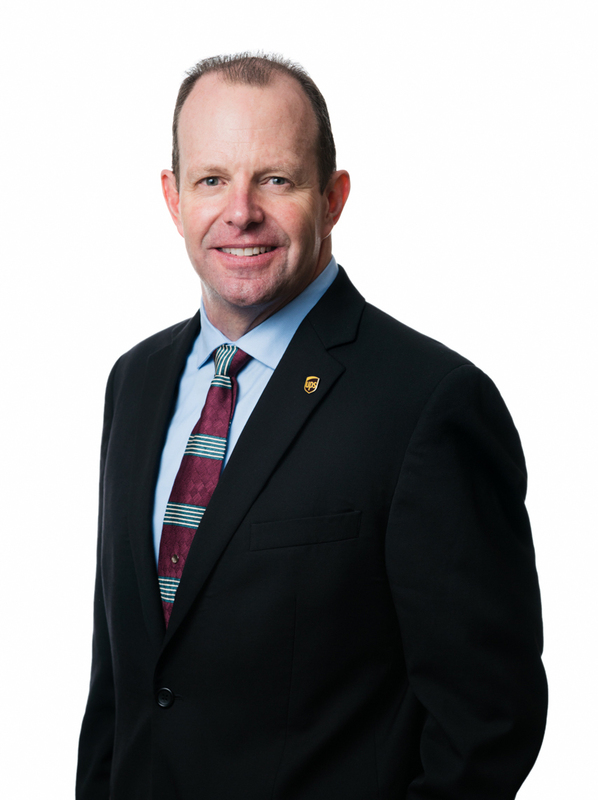 He had also served as President of Supply Chain & Logistics Association of Canada (SCL), President and CEO for the Canadian Association of Importers and Exporters and President of the Association of International Automobile Manufacturers of Canada (AIAMC). 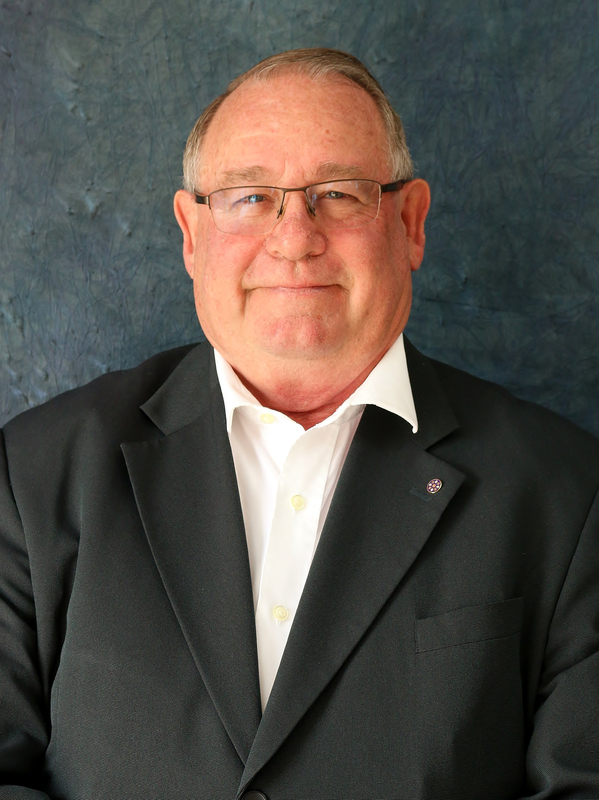 Bob has over 40 years of experience in Global Supply Chain, International Trade, Cross Border Logistics and Customs Regulations and procedures. He has led trade logistics missions to Hong Kong and China, SE Asia and USA, and has extensive experience assisting Canadian companies to find new sources of supply and/or customers for their products while ensuring their goods are moved cost effectively, efficiently with visibility and supply chain resilience to and from global markets. He is a leader in Canada for the Belt and Road Initiative speaking at seminars and leading Canadian Missions to the Belt and Road Summits in Hong Kong. Bob is a known national and international speaker, author, and expert on issues related to International Trade, Cross-Border Logistics, the Global Supply Chain, and Customs and Security issues. He is active on the Board of Directors of the St Lawrence Seaway Management Corporation as Ontario government representative, Ontario Chamber of Commerce (Past-Chair), Hong Kong- Canada Business Association (Past National Chair). As COO of The Caravel Group, Angad is a key member of the Group’s Management, Investment, Risk, and Credit Committees. In addition, Angad has direct responsibility for the Group’s Finance, Operations, and Administrative functions. Angad also leads The Caravel Group’s strategic objectives, business development, and corporate finance activities. Prior to joining Caravel as an Executive Director at its inception, Angad was a Principal with KKR, one of the world’s leading investment firms, with a core focus on Private Equity. Based in Hong Kong, Angad was principally focused on investing in Leveraged Buy-out (LBO) transactions across the Asia-Pacific region. In addition to this, Angad also ran the Asian Leveraged Finance business for KKR Capital Markets Asia, where he helped finance some of the largest, most complex and highly structured private equity acquisitions in Asia. Angad was a key team member of many notable investments by KKR Asia during his tenure. Angad began his career as an Analyst in the Syndicated & Leveraged Finance team at JPMorgan in Hong Kong where he provided advice to, and raised capital for Private Equity firms and high growth and leveraged companies in Asia Pacific. Following his experience at JPMorgan, Angad was hired as an Associate at The Blackstone Group – GSO Capital Partners also in Hong Kong to build out their credit investing platform. At Blackstone, Angad was primarily engaged in public and private credit investing across the entire capital structure in the Asia Pacific region. In 2015, Angad was named as the “Young Person of the Year” by Seatrade Asia. Angad graduated with an AB with Honors in Economics from Dartmouth College, in the USA. Mr Zulkifli bin Ab Latif (52), is a Halal Compliance Director of A-Transglobal Logistics Sdn Bhd. His involvement in the Halal Industry started in 2004 as Program Manager for Halal Executives Training Program sanctioned by the Economic Planning Unit of the PM’s Department. He was Principal of Halal Management and Research Academy (HAMRA), Melaka Industrial Skills Development Centre, between 2011 - 2015.
b. Halal Professional Training Module for The Halal Professional Board supervised by the Department of Islamic Development (JAKIM). c. Chairman of the Technical Advisory Committee, Halal Management Centre of Excellence, Terengganu, Malaysia. 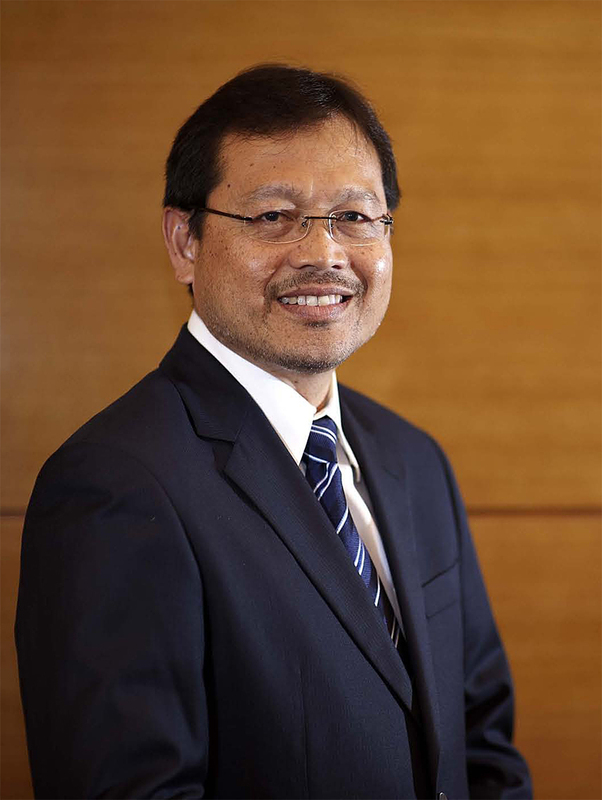 Dato’ Seri Jamil Bidin, is the Managing Director and Chief Executive Officer of Halal Industry Development Corporation (HDC), an agency under the Ministry of International Trade and Industry of Malaysia. He is an Accountant by profession and holds a Master Degree in Business Administration (Finance) from the United Kingdom. 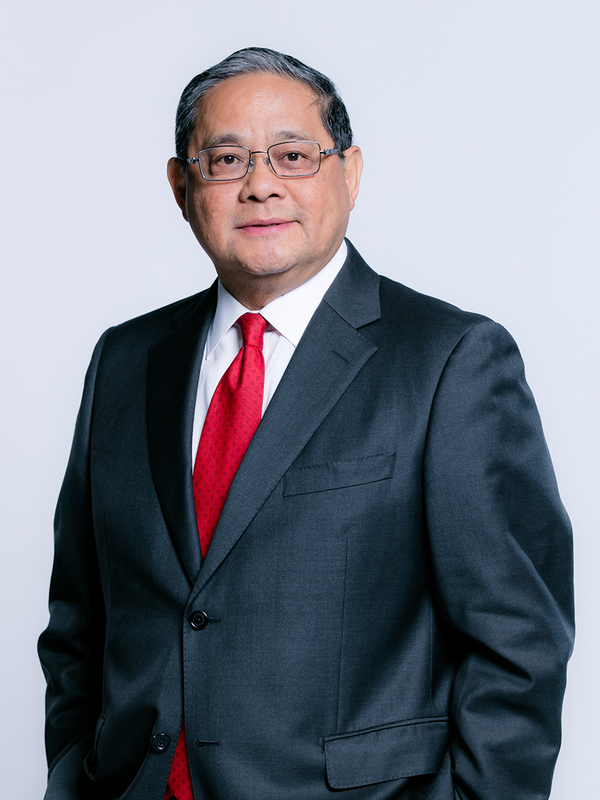 He started his career as an Accountant with Rothmans of Pall Mall (M) Berhad in 1984 and has over the years, acquired extensive experience in auditing, corporate finance and financial management in various positions in public listed companies such as C.I. Holding Berhad, Arab Malaysian Group and Malaysian Resources Corporation Berhad. He also held the position of Managing Director/Chief Executive Officer of Putera Capital Berhad, a main board public listed company with activities in manufacturing, construction, property development and engineering. Prior to his current position, he was the Corporate Advisor of KUB Malaysia Berhad, a main board conglomerate with business in information and communication technology, education and training, food beverage, events, energy, property development and construction. With more than 35 years involvement in the corporate sector, he has been appointed as Director on the Board of several companies in Malaysia and overseas with interests in financial services, manufacturing, aviation and aerospace, advisory and consultancy etc. On 16 August 2006, he was appointed by the Prime Minister of Malaysia to helm HDC, a company wholly owned by the Minister of Finance Incorporated. Under his stewardship, HDC was established on 18 September 2006 to coordinate the overall development of the halal industry, leading to the development of the first Halal Industry Master Plan (2008 – 2020) for Malaysia. 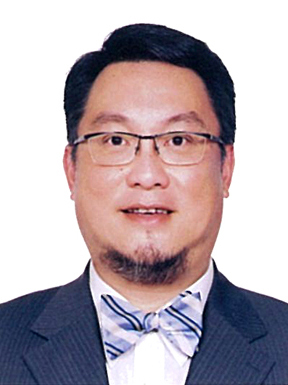 Under his leadership, HDC received several prestigious local and international awards which included the Global Islamic Finance Award (GIFA) for Halal Industry Development Achievement, Global Halal Industry Leadership Award 2016 during the World Chinese Economic Summit (WCES) and Most Eminem Brand Icon Leadership Award 2017 by The Brand Laureate. Ben Bland is the South China Correspondent for the Financial Times, based in Hong Kong. He also covers the manufacturing, shipping and logistics industries across China. He was previously the FT correspondent in Indonesia and Vietnam and has reported across Asia from Papua New Guinea to Myanmar over the past nine years. Prior to that, Ben was a business reporter for The Daily Telegraph in London, his home city. Ben studied History at the University of Cambridge and completed a Masters in Southeast Asian Studies at the School of Oriental and African Studies at the University of London. He has recently published his first book, on young people and identity in Hong Kong. Burak has close to 15 years of experience in the shipping industry. His current role includes providing commercial and strategic advice to banks, ship owners, shipbuilders and charterers, as well as market analysis in the drybulk, tanker and containership sectors. Prior to joining Arrow he worked as a Senior Consultant at Hartland Shipping Services, Senior Analyst at Clarksons and as Senior Executive at HSBC Shipping Services. He holds a BEng Mechanical Engineering degree from the University of Southampton and an MSc in Shipping, Trade and Finance from the Cass Business School. Burak is a regular speaker at international conferences. XDynamics designs, develops, manufactures, and markets reliable and safe drones with unprecedented performance, to high-end consumers and professionals. Evolve is the first product Benny built with XDynamics. It is the world’s smallest drone with bespoke carbon fiber monocoque chasis! What's more impressive is Benny’s R&D team built within, which consists of international experts in aerial robotics, aerodynamics, flight control algorithms, computer vision, imaging technology and more. Evolution is a process, and Evolve is just the beginning. As the head of the company, Benny is constantly looking for mutually beneficial partnership. XDynamics is a proud business partner of VTech, an experienced electronics manufacturer, and Amimon, which powers Evolve’s zero latency video downlink solution to deliver incredible wireless live view performance with 1080p full high definition video. Ms Cissy Chan Ching-sze was appointed as Executive Director, Commercial of Airport Authority of Hong Kong in September 2012. Ms Chan oversees the commercial development of Hong Kong International Airport (HKIA). She is responsible for developing and implementing commercial strategies and identifying potential high-quality tenants and operators for the airport's commercial portfolio, which spans retail, advertising and aviation logistics. She also leads the commercial division in managing and growing revenue targets while maintaining a high standard of commercial offerings at the airport to enhance the passenger travel experience. Ms Chan has a wealth of general management experience gained from local and multinational organisations, particularly in partnership development, negotiation and managing commercial alliances. Before joining the Airport Authority, Ms Chan was the Director, Retail Portfolio & Marketing at Hysan Development Company Ltd. Prior to that, she held senior positions in multi-national companies including Reckitt Benckiser (Hong Kong/ Taiwan) and Johnson & Johnson Hong Kong. She is also an MBA graduate from the Chinese University of Hong Kong. Mr Terry Chan has over 20 years of e-commerce supply chain experience in marketplace and 3PL, e-commerce supply chain entrepreneur, postal expert, columnist, investor and keynote speakers over 30 conferences across APAC. He is currently Chairman of Hong Kong eCommerce Supply Chain Association (HKeCSC), Sr Manager and ex-GM, 3PL of a leading eCommerce marketplace in APAC, Founder & CEO of EC-Post Worldwide Co Ltd, e-Commerce advisor to HKSAR, HKTDC, Asia Pacific Postal Union (APPU), Chambers and City University of Hong Kong, Columnist for e-Commerce & Supply Chain Magazine, Chartered Member, Logistics Policy Committee and e-Commerce Focus Group of the Chartered Institute of Logistics and Transport in Hong Kong (CILTHK), steering committee of GS1 HK Summit 2017 and judges for the 2017 top 10 e-Commerce website awards by GS1. He held management positions in multinational companies such as, FedEx, DHL eCommerce, Postal Operators, SF Express…etc. He can be reached at ckft@yahoo.com. Mr James Chang is the Group Chief Crossborder Officer of Lazada and one of the Co-Founders of Lazada Group based in Singapore. He is responsible for the development of strategy and managing fast growing crossborder business unit. James has started Lazada back in 2012 and served in various roles across Southeast Asia which includes, COO Lazada Philippines, Executive Vice President of Operation and COO Crossborder. 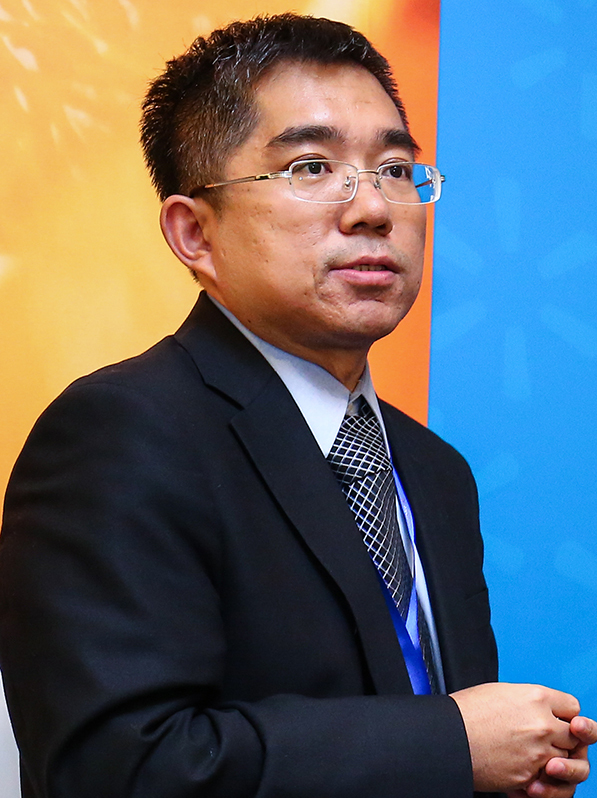 Dr Ch’ng Soo Ee is Chief Executive Officer of the Malaysia Innovation Hub (MIH). She has obtained her Bsc (Food science & Nutrition), MSc (Food Science) and PhD (Food Science) from Faculty of Science and Technology, National University of Malaysia (Universiti Kebangsaan Malaysia, UKM). She has more than 15 years of research experiences in food science, nutrition and technical marketing of food ingredients. She is a Professional Member of the Malaysian Institutes of Food Technologists and Nutrition Society of Malaysia. Her major areas of expertise is in meat and poultry value added products development- specializing in healthful meat products with replacement of synthetic food ingredients and additives with phytochemicals-extracts of herbs and spices and tested for their effectiveness as antioxidants such as extending the quality and shelf life of the products. Dr Ch’ng is also acknowledged for her work in meat and protein-based foods such as edible birdnest by enzymatic alteration of protein structure and its synergism with other ingredients by optimization of the formulations. Her work also involve in quality of food products namely meat as consumed by the Muslim community in Malaysia. Over the last 10 years, her work have been extended towards halal food ingredients and rules & regulations related to halal food production. Working with the experts in halal food production from universities and government bodies like UKM (Universiti Kebangsaan Malaysia), UPM (University Putra Malaysia), USIM (University Islamic Malaysia), JAKIM (Department of Islamic Development Malaysia), HDC (Halal Development Corporation), and State halal officers allowed her to understand the fine line that distinguish halal meat from those not halal in the context of basic food laws and the Muslim Syariah compliance. Her experiences with her mentor, Prof Dr Abdul Salam Babji, founder member of JAKIM, and a meat scientist also carry her towards minute details that are usually not visible to Non-Muslim. Thus she has been recognized for her confidence in dealing with halal authorities in Malaysia and foreign countries like China, Indonesia and Singapore. She has also actively involved as a Technical translator for HALAL Executive Courses/ HALAL Training Modules and Materials working together with JAKIM Halal Professional Board and USIM. Currently, she is actively collaborating various research collaboration activity with China such as China-Asean Technology Transfer Center and China Academy of Science. She is also working very closely with Indonesian Halal Products Foundation to explore potential collaboration project. Mr Fox Chu is a partner in McKinsey’s Hong Kong office and a core member of the firm’s global ports and shipping practice. Mr Chu has close to 20 years of industry experience, advising clients from transportation and infrastructure sectors in Greater China, ASEAN, India, Middle East, Africa and Europe on growth strategy, M&As, operations, digital and technology transformation. Mr Chu holds a MSc from the Chinese University of Hong Kong, a Bachelor’s degree from the University of Hong Kong and executive program certificates from London Business School. Mr Ken Chung has more than 25 years of experience in international trade and logistics industry and has participated many international and domestic large-scale supply chain management and cold chain logistics development projects. Besides, he has long-term research on food safety projects and has been affirmed by the industry. Mr Chung is active in logistics professional groups and serves the public. The Hong Kong government has appointed Mr Chung a number of important public duties to provide professional advice to the logistics industry and contribute to the community. Tabare has a wealth of experience with over 20 years in key roles within the liner shipping, ports and logistics industries. His career started in Uruguay where he worked for leading companies in the South American logistic sector before joining Evergreen Shipping Line at the European head office in London. In 2006 joined DP World to head the commercial development at the port of Tilbury and in 2008 took part in DP World’s Global Organisation Leadership Development (GOLD) programme, where he experienced operations at various DP World terminals around the world including Tarragona, Dubai, Sydney and Hong Kong. In 2009 he was appointed Port Commercial Manager of DP World London Gateway, the UK’s most modern container port and Europe’s largest logistics park. He saw London Gateway grow from the drawing board into reality before moving to Canada in January 2016. In Canada he heads the commercial development of the 3 DP World west coast facilities: Vancouver, Nanaimo and Prince Rupert. Tabare holds an MBA from Vlerick Business School in Belgium and a Master’s degree in Container Terminal Management from Middlesex University in England. Ms Margaret Fong is the Executive Director of the Hong Kong Trade Development Council (HKTDC) since 1 October 2014. With a global network of over 40 offices, Ms Fong heads this international team whose mission is to create and facilitate opportunities in global trade for Hong Kong-based companies. 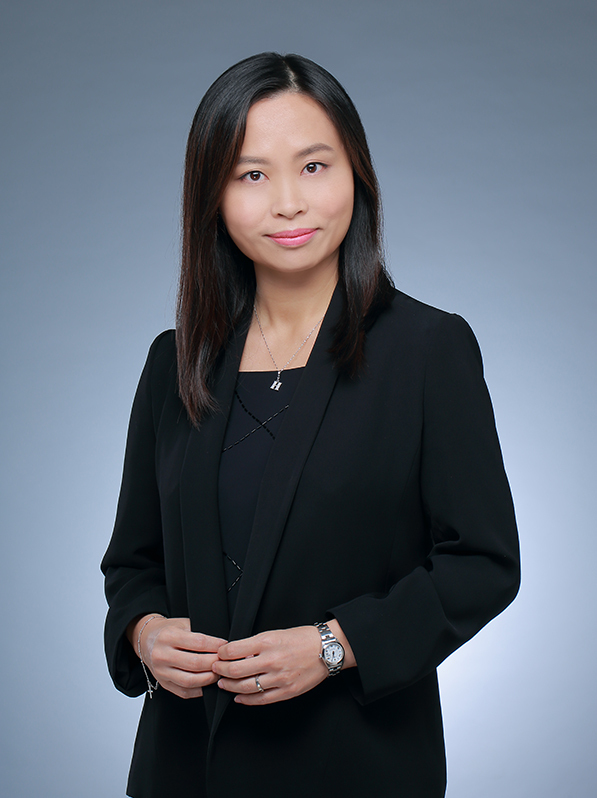 She joined the HKTDC in 2010 as Deputy Executive Director, responsible for the international promotion of Hong Kong’s product and service industries and the Council’s office network worldwide. Ms Fong has worked in a variety of public service posts, beginning her career as an Administrative Officer with the Hong Kong Government. From 1997 to 1999, she served as Deputy Director-General in the Washington Economic and Trade Office of the Hong Kong SAR Government. 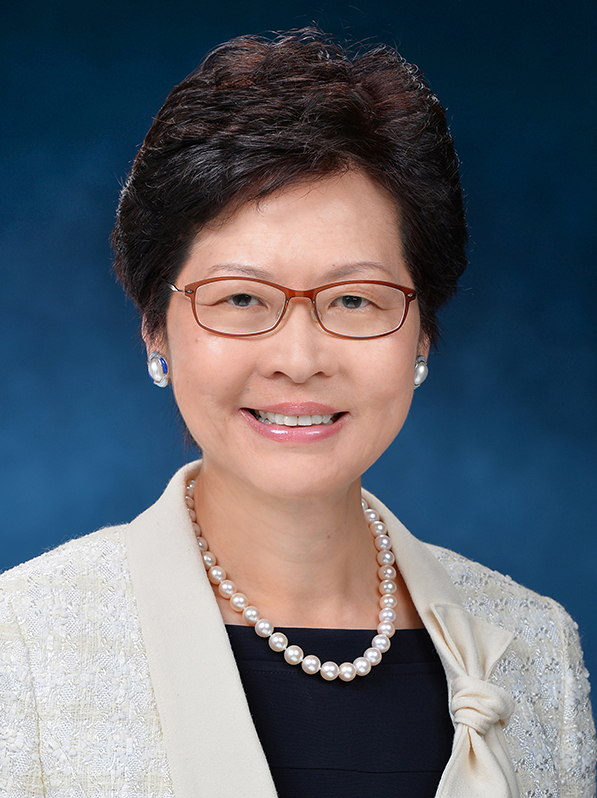 She was Deputy Secretary for Transport from 1999 to 2004, Director-General of the Washington Economic and Trade Office from 2004 to 2006, and Commissioner for Economic and Trade Affairs, USA, from 2006 to 2008, representing the Hong Kong SAR Government in the United States. Before joining the HKTDC, Ms Fong was the Commissioner for Tourism from November 2008 to the end of 2009. She is a graduate of the University of Hong Kong. Ms Fong is a member of the Working Group on Convention and Exhibition Industries and Tourism under the Economic Development Commission, the Aviation Development and Three-runway System Advisory Committee, the Hong Kong Maritime Industry Council, the Hong Kong Maritime and Port Board, the Hong Kong Logistics Development Council, the Hong Kong Tourism Board, and the Financial Services Development Council. Dr Victor K Fung is Group Chairman of the Fung Group, Chairman of the Advisory Board of the Asia Global Institute at the University of Hong Kong and was Chairman of the Paris-based International Chamber of Commerce from 2008 to 2010. Dr Fung is an independent non-executive Director of Chow Tai Fook Jewellery Group Limited (Hong Kong), and Koc Holding A.S. (Turkey). He is also Chairman of the Asia Advisory Board of Prudential Financial, Inc (USA). 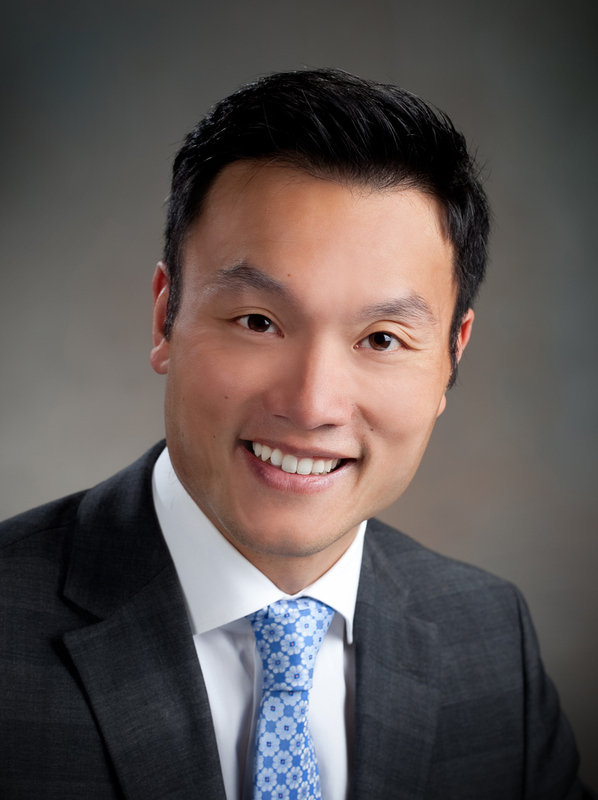 Dr Fung holds a number of civic and professional appointments. He is a member of the Chinese People’s Political Consultative Conference, a member of the Economic Development Commission of the Hong Kong Government, Advisor of the Infrastructure Financing Facilitation Office of the Hong Kong Monetary Authority and the Chairman of the Steering Committee on the Hong Kong Scholarship for Excellence Scheme. Born and raised in Hong Kong, Dr Fung holds Bachelor and Master Degrees in Electrical Engineering from Massachusetts Institute of Technology, and a Doctorate in Business Economics from Harvard University. He was a professor at Harvard Business School for four years before returning to Hong Kong in 1976. SEKO Logistics appointed James Gagne as President effective 1 January 2017. Mr Gagne joined SEKO Logistics in 2014 as Chief Operating Officer – Asia Pacific Region, based in Hong Kong. During his tenure as head of the Asia Pacific Region, Mr Gagne led the rapid expansion of SEKO Greater China. He had spent the last 20 years of his career in Asia, also holding executive positions with Agility, Schenker/BAX and Maersk. In his new role as President, he is based at SEKO Logistics’ global headquarters in Chicago. Mr Gagne received a Bachelor of Science Degree in Marine Transportation from the United States Merchant Marine Academy in 1994. Aside from his work James enjoys his wife & daughter and being active with the Young Presidents Organization, (YPO). James is fluent in Mandarin Chinese, and speaks conversational Shanghainese. Ms Ho has been working in supply chain arena since early 90s responsible to introduce and manage Asia Pacific supply chain management for leading multinational companies. She leads the companies to drive continuous adjustment on supply chain management in order to meet different market needs, different channels needs for driving the company's growth. 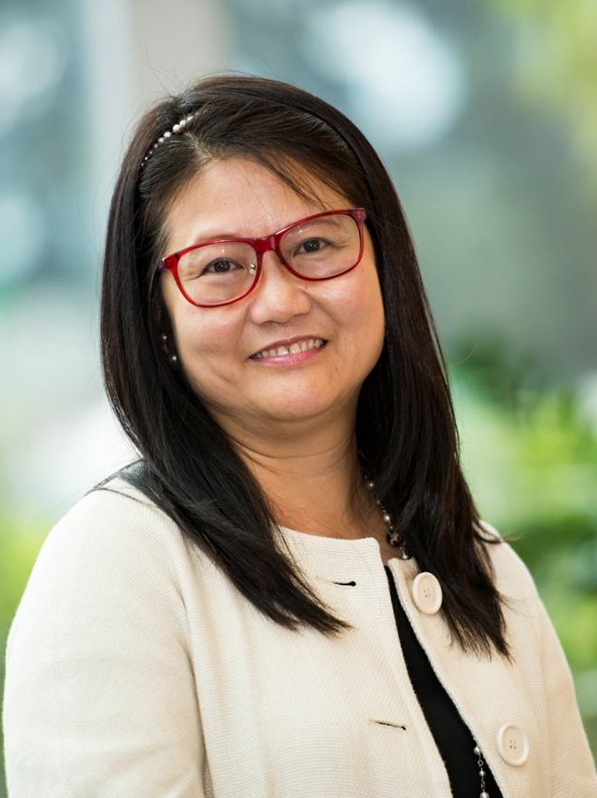 Ms Ho current position is the Principal Consultant for GS1 Hong Kong, a worldwide supply chain standards body, leading the team to provide supply chain management trainings, manage APEC or local government supply chain initiatives as well as manage supply chain consultancy services. Since 90s，Ms Ho has set up Asia Pacific supply chain management for various multi-national corporations. She has introduced supply chain strategies from procurement balancing, production optimization, value-added logistics and efficient customer services level. The standard amongst Asian countries such as Australia, Japan, Korea, Taiwan, Malaysia，Singapore and China has been uplifted, processes have been optimized and support sales growth. Ms Ho currently leading the supply chain consultancy team, has been trained over 800 trainees, spoke over supply chain for government, industry associations or companies, supported various government projects and different cross countries supply chain improvement projects. Ms Ho obtained Master in Industrial Logistics, APICS SCOR Professional (SCOR-P), Registered Lean Leader，Project Management Professional. Ms Ho is also core members of ECR Hong Kong, Government Trade Consultation Group, Consumer Liaison Group and Food Safety Consortium. Mr Ho Lap Kee, Sunny, JP, is the Executive Director of the Hong Kong Shippers’ Council. As he now shapes the thrust of the Shippers’ Council mandate as the voice of the Hong Kong shippers, he has considerable experience in aspects of trade and transport of goods, including liner shipping, warehousing and distribution, freight forwarding, container haulage, mid-stream operations, China feeders, logistics services and Supply Chain Management. Mr Ho is a member of the Logistics Development Council, the Logistics Industry Training Advisory Committee, the Town Planning Board, and the Private Columbaria Appeal Board of the Hong Kong SAR Government. He is also a member of the Transport & Shipping Committee of the Hong Kong General Chamber of Commerce and Logistics Services Advisory Committee of the Hong Kong Trade Development Council. He has been Chairman of the Hong Kong Liner Shipping Association for 1995-1997. He is the current Chairman of Hong Kong Logistics Management Staff Association, Fellow and Immediate Past President of the Chartered Institute of Logistics & Transport in Hong Kong, and Advisor to the Shenzhen Ports & Harbour Association. Mr Ho is also an Independent Non-Executive Director of Tradelink Electronic Commerce Ltd.
Andrew Hoare is the Chief Operating Officer of Navig8 Group and Managing Director of Navig8 Asia Pte Ltd based in Singapore. He joined the Navig8 Group in April 2016 from BW Group, where he held various roles prior to being Chief Commercial Officer of BW LPG from 2013-2015. Previously, Andrew was with Clarksons Plc from 1992 to 2001, where he left as Director of Clarksons Asia Ltd, a position based in Hong Kong. Prior to this, Andrew was the Chief Representative and General Manager of Clarksons Asia, Beijing from 1995-1998. Andrew received a Masters in Arts (Honors) in Management with International Relations from the University of St Andrews, Scotland, in 1991 and a Master of Business Administration from Ashridge Management College, UK, in 2002. Andrew Hoare is a Fellow of the Institute of Chartered Shipbrokers. Tim Huxley is the Chairman of Mandarin Shipping Limited, a Hong Kong based shipping investment company. Mr Huxley has spent the whole of his working life in the shipping industry, initially joining Clarksons, the world’s leading shipbroking and shipping services company, in 1982 as a graduate trainee and subsequently spending twenty four years with the company, the majority in Hong Kong. In 2006, Mr Huxley established Mandarin Shipping Limited prior to taking on the role of CEO at Wah Kwong between 2008 - 2016. Mr Huxley is a Fellow of the Institute of Chartered Shipbrokers and a former Vice Chairman of the Hong Kong Shipowners Association. Mr Ip joined Hongkong International Terminals in 1993 as the General Manager of Commercial and was promoted to Managing Director in 1998. In 2001, Mr Ip expanded his role and became the Managing Director of Hutchison Ports South China, a regional division of the HPH Group, overseeing the Group’s business in Hong Kong and Southern China. In 2013, Mr Ip was appointed Deputy Group Managing Director of HPH. After graduating with a Bachelor of Arts Degree from the United Kingdom, Mr Ip began his career in the maritime industry in 1980, holding management positions with various leading shipping agencies. 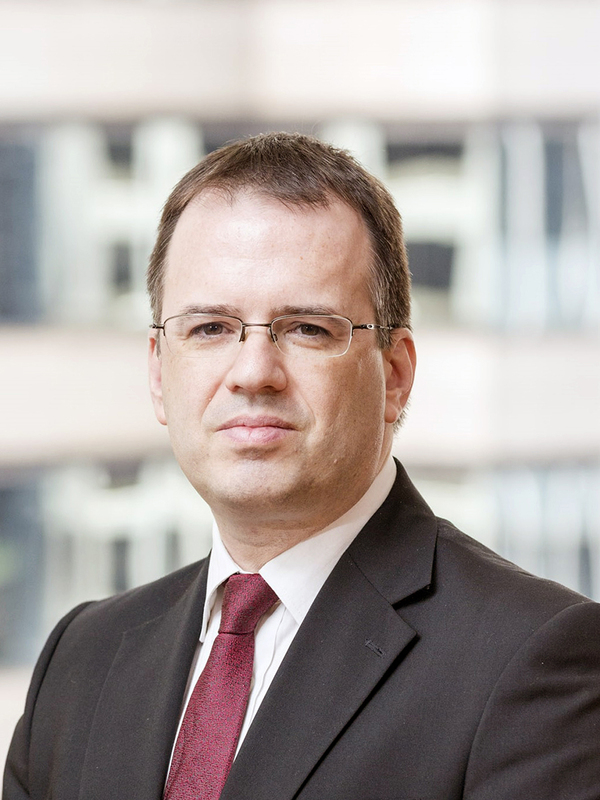 Mr Ip is an independent non-executive director of COSCO SHIPPING Energy Transportation Co Ltd and Piraeus Port Authority S.A.
Marin Ivezic is a Partner in PwC Hong Kong where he focuses on cybersecurity and privacy. His particular area of focus is cybersecurity of cyber-physical systems such as those increasingly being used in smart cities, smart transportation and smart logistics. Prior to joining PwC, Marin held global and Asia-Pacific roles in IBM, Accenture and other organizations. He also acted as the General Manager, Software for one of the largest software providers for logistics industry and the Lead Cybersecurity Architect for one of the largest global container shipping and logistics organization. Marin currently acts as the chairman of Cyber-Physical Systems Security Institute which works with a number of transportation and logistics organization globally on exploring how the industry could adopt new technologies such as Internet of Things (IoT) and Artificial Intelligence (AI) in a safe and secure manner. Alok Jain is the Managing Director of Trans-Consult Asia, a consulting firm specialising in technology and innovation in traffic and transportation. He has more than 25 years of experience in the transportation industry, having previously worked as Deputy Operations Director of the Kowloon Motor Bus Company and General Manager – Marketing for Kowloon Canton Railway (KCR). Mr Jain was also a Director at MVA, the transport and planning consultancy. He speaks regularly on multi-modal integration, public transport operations, SMART mobility and clean vehicle technologies. Gert-Jan Jansen is a Managing Director and head of Seabury’s Cargo Advisory practice. He joined Seabury in 2007, strengthening the European office and the cargo team in particular. Mr Jansen has 20 years of experience in the air cargo industry and has a proven ability to support clients in achieving change and performance boosts through dozens of projects across the globe. His expertise includes fleet and network strategy, commercial strategy, revenue management & pricing, sales & marketing. He is co-founder of WorldACD, a leading data provider to the air cargo business. Before and besides, he was partner of a management consulting firm that specialized in change management and reorganizations, in particular in the air cargo industry. He started his career with KLM Cargo Revenue Management and Network Optimization. Mr Jansen holds an MSc in Operations Research & Statistics. Siddique Khan serves as CEO of Globalink Logistics. A graduate of the University of Punjab, Khan embarked on his career in the Transportation and Logistics industry in the Middle East in 1990. Actively involved with all facets of multimodal transportation systems and project logistics, Khan established Globalink Logistics in Kazakhstan in 1994. Under his management, Globalink Logistics expanded rapidly to 32 locations in 22 countries and become a market leader of transportation and logistics industry in Eurasia. In 2017 Globalink Logistics and Kerry Logistics Network Limited (Hong Kong Stock Code 636.HK) merged to enhance their services and network under the ‘Belt and Road’ Initiative. With the combined strength of 25,000 staff, Kerry Globalink Logistics now operates more than 1000 service points, 4.2 million square meters of warehousing & terminal space and 8000 trucks in 51 countries. Khan is the recipient of various certifications and diplomas related to shipping, transportation and logistics industry. In 2011 Khan was awarded “Entrepreneur of the Year” by American Chamber of Commerce, Kazakhstan and “Entrepreneur of the Year” by Ernst & Young. Khan is also a recipient of “Altyn Sapa” award of excellence of the President of the Republic of Kazakhstan. Siddique Khan serves as an advisor to the Government of Kazakhstan for the development of transportation and logistics service sector. Khan’s areas of expertise are diverse covering Belt & Road Initiative, business expansion, strategic planning, change management, leadership development, board collaboration, acquisitions & integrations and supply chain management to name a few. Henry Ko is the Managing Director Asia of Flexport. In this role, Henry leads the company’s Asian business development, operations, marketing and sales strategy. Under Henry’s leadership, Flexport is committed to providing visibility and control over supply chain through easy to use technology. With extensive years of experience in global freight forwarding, Henry has held several senior leadership roles at multinational logistics companies including DHL and SF Express, and was previously General Manager at LiFung KIDS, a member of Li & Fung Group. Henry was appointed a member of the Hong Kong Trade Development Council’s Mainland Business Advisory Committee in 2016. Henry earned a BBA (Hons) in Quantitative Analysis for Business, an EMBA and a Juris Doctor from the City University of Hong Kong. Wellington Koo is the Executive Director of Valles Steamship Company Limited. Wellington graduated from Boston University with a Bachelor of Science Degree in Business Administration, majoring in Marketing and Operations Management. After graduation, he started working at the HSBC Asset Management (Hong Kong) Limited as an Operations Trainee. In 1997, he joined Hong Kong Trade Development Council, a statutory body dedicated to promote Hong Kong trade. He worked there till 2008 when he joined his family business, Valles Steamship Company Limited. Presently Wellington is a member of the ClassNK Hong Kong Committee, a member of the Executive Committee of the Hong Kong Shipowners Association and a Council Member of Intertanko, the International Association of Independent Tanker Owners. 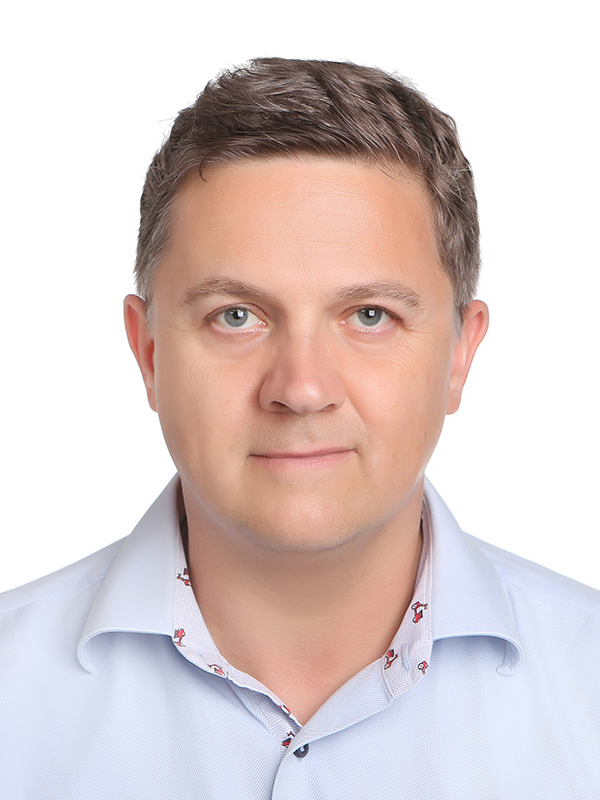 Nils Kristian Kovdal joined Standard Chartered Bank (“SCB”) in 2010 from DVB Bank as part of a team brought in to establish the ship leasing business for SCB. He spent almost 6 years in Singapore, originating, structuring and executing leasing and debt solutions for the SCB’s clients globally before moving to Hong Kong to become head of the bank’s ship finance activities in Greater China and North Asia. During his time with DVB, Nils held positions as relationship manager and investment manager in DVB’s London Office focusing on both equity and debt products for DVB’s European and Middle Eastern Clients. 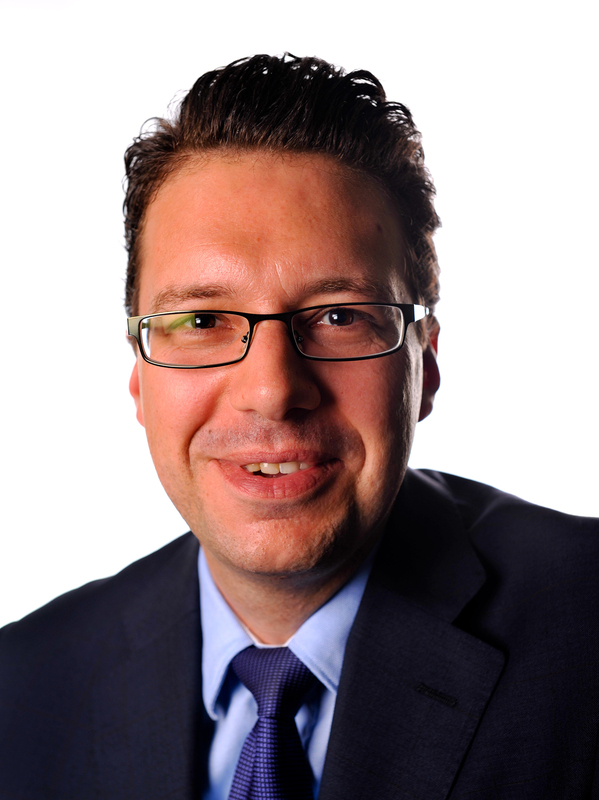 Prior to joining DVB, Nils also worked as a solicitor with UK Law Firm Stephenson Harwood, gaining invaluable experience on legal matters related to ship finance and S&P. He started his career in shipping with the International Organization of Independent Tanker Owners (“INTERTANKO”) in London/Oslo, having trained and served as an officer in the Royal Norwegian Navy. In addition to his legal qualification from the UK, he holds a BSc (Hons) in Maritime Business and Management from LJMU in the UK. Joseph Lai has served in various bureaux and departments, including the former Home Affairs Branch, the former Trade and Industry Branch, the Lands Department, the former Finance Branch, the former City and New Territories Administration, the former Economic Services Branch, the former Constitutional Affairs Branch, and the former Education and Manpower Bureau. He was Deputy Director-General of Trade and Industry from May 2001 to March 2003, Deputy Secretary for Constitutional Affairs from March 2003 to December 2006, Director-General of Trade and Industry from January 2007 to August 2009 and Commissioner for Transport from August 2009 to May 2012. 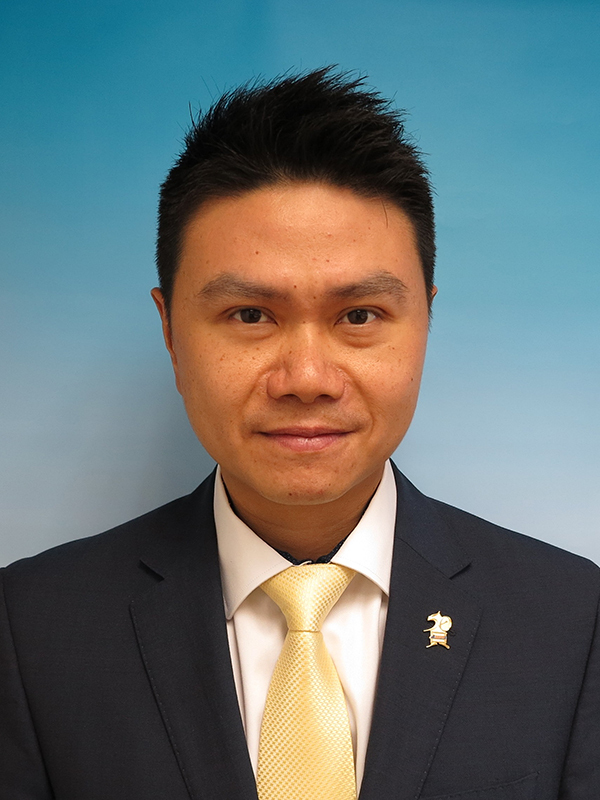 Frosti Lau is currently General Manager, Cargo Service Delivery for Cathay Pacific Cargo, overseeing worldwide cargo service delivery and operation matters. Prior his latest appointment, he was the Manager Cargo Hub Operation Hong Kong focusing on matter related to export/import for Hong Kong and Hub operation. Mr Lau had also worked for the Cathay Pacific Group of airlines in various capacities in Hong Kong, Mainland China and Africa. During 2005-2009, he has also worked in the capacities of global accounts, airline partnership and charter sales in the Cargo division for the airline group. Since 2014, he serves as the chairman of Hong Kong International Airport Air Cargo Carrier Liaison Group (CLG) working closely with airlines, industry partners and authorities to look at ways to strengthen HK’s position to remain as a premier aviation hub. He is also board member for Cargo iQ, an IATA interest group in creating and implementing quality standards for the worldwide air cargo industry. 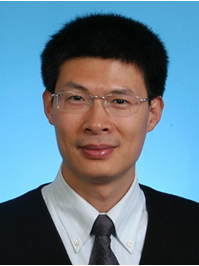 Mr Lau holds MSc and BBA from Hong Kong University of Science and Technology and MA from The University of Hong Kong. Victor Lei, male, born in January 1963, native of Zhongshan, Guangdong Province. He has worked since October 1985, and holds the honorary doctorate degree of Pentecost International University. In 2008, Victor received the honour of “Chinese Enterprise Innovation Leader” granted by China International Economic Development Research Center, and earned “Top 100 Influential Men of Reform and Innovation” honour of Chinese Association of Market Development in 2009 as well as US Presidential meal for Prominent Asian Business Leaders in 2013. Presently, Victor serves as Member of the Macao SAR Logistics Development Committee, Member of Guangzhou City Nansha District CPPCC Standing Committee, Chairman of Macao Nansha Commerce Association, Chairman of Guangzhou Nansha Sodality in Macao, and Managing Director of Victor Pacific Service Ltd. (VPS). Ms Carman Leung was appointed as General Manager, Commercial Department of YICT with effect from April, 2016. Carman has with been with Hutchisonports for almost 20 years, with a very strong and extensive background in the terminal industry. She started out as a Financial Planning Manager with HIT in 1997 and then joined Commercial Department as a Strategic Marketing Manager in 2001. She completed the Global Leadership Development Program of HPH in 2004. She then assumed the role of Account Director, South China, Hutchisonports before her current position. Carman was an accountant by profession. She had worked for Arthur Anderson, Jardine Matheson and other listed company in Hong Kong before joining HIT. She has a Bachelor degree in Social Science from University of Hong Kong and got her Executive Master degree in Business Administration from The Chinese University of Hong Kong in year 2003. Carman is also a Fellow of both The Hong Kong Institute of Certified Public Accountants and Association of Chartered Certified Accountants. 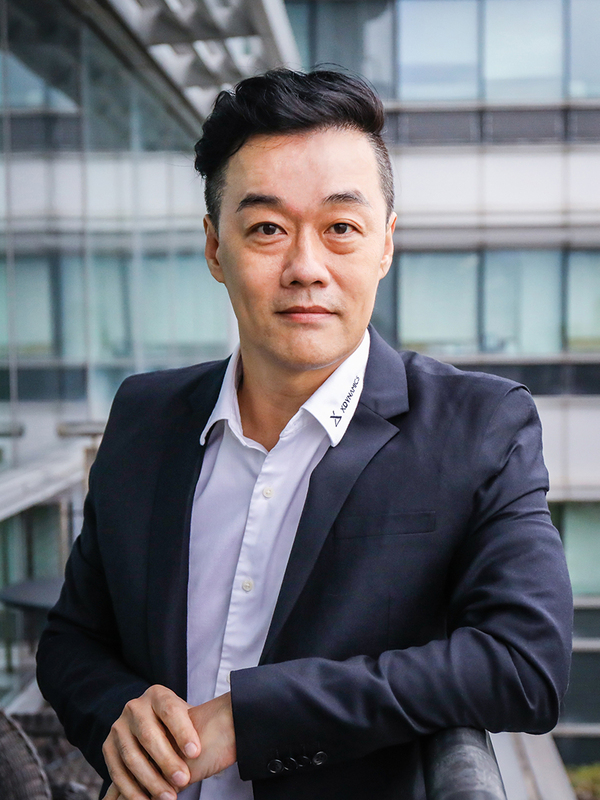 Dr Kelvin Leung is Chief Executive Officer of DHL Global Forwarding for Asia Pacific and is responsible for managing and directing the business unit’s activities in the region. Between 2008 and 2011, he was Chief Executive Officer for North Asia Pacific and prior to that appointment, was Chief Operating Officer for Asia Pacific. Kelvin joined Danzas AEI, now known as DHL Global Forwarding, in 2002 as Managing Director for Hong Kong, South China and Macau. In 2004, he became Vice President of South East Pacific Region for DHL Danzas Air & Ocean. From 2002 to 2005, Kelvin played an instrumental role in making the company the market leader and more than doubling the size of the business. In 2005, he became Vice President of DHL Global Forwarding for Hong Kong, South China and Macau. 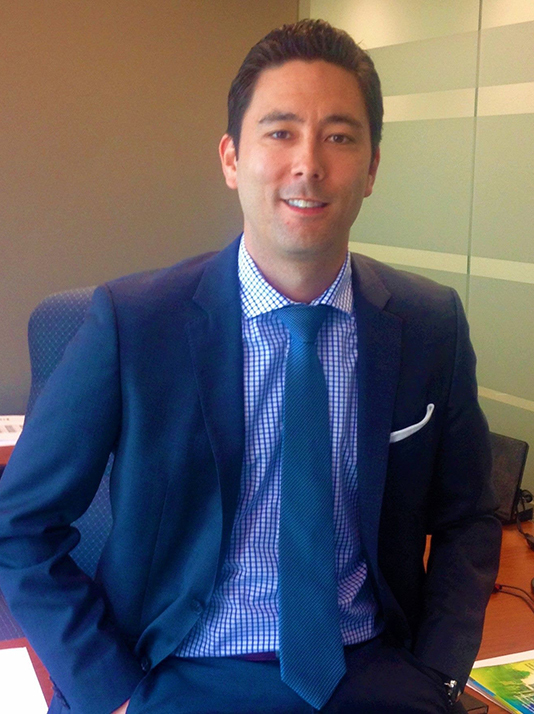 Prior to joining Danzas AEI, Kelvin started his career with Cathay Pacific Airways in 1989. For the next twelve years, he held several managerial positions including his final position as Manager of Global Network Revenue Operations. Kelvin holds a number of important positions in both the private and public sectors. He is appointed by the Chief Executive of the Hong Kong government to the Advisory Committee on Admission of Quality Migrants and Professionals, and is a member of the Aviation Development Advisory Committee and Statistics Advisory Board. He is also elected as fellow member of local and international professional organizations including the Chartered Institute of Marketing, the Canadian Chartered Institute of Business Administration and the Chartered Institute of Logistics and Transport. Kelvin graduated from the University of Cambridge, Magdalene College, with a Masters in General Engineering Science. He received his doctorate in business administration at the Hong Kong Polytechnic University. His hobbies include philosophy, reading and sports. Li Guanpeng, is the President of the Company, and also the member of the Executive Committee and the Nomination Committee of the Company. Mr Li joined China National Foreign Trade Transportation (Group) Corporation in 1989 and worked in Sinotrans Guangdong Company Limited Huangpu Branch. Mr Li served as the General Manager of Zhuhai Shipping Agency Co, Limited and Guangdong Shipping Agency Co, Limited successively in 1994 and 1998. In September 1999, Mr Li took the position of the Deputy General Manager of Sinotrans Guangdong Company Limited. From January 2009 to January 2010, Mr Li was temporarily transferred to the Ministry of Transport and served as an assistant to the director. 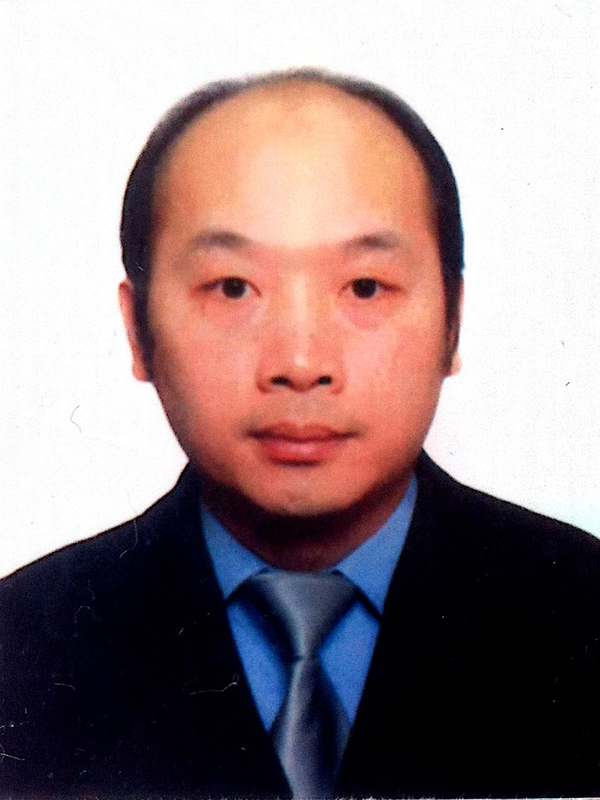 In March 2010, Mr Li was appointed as the General Manager of Sinotrans Guangdong Company Limited. Mr Li was appointed as the Chairman of the board of directors of Sinotrans Air Transportation Development Co, Ltd in September 2016. Mr Li graduated from Sun Yat-sen University in 1989 and obtained his bachelor degree in English language and literature. From August 2013 to January 2014, Mr Li acted as Vice President of the Company. 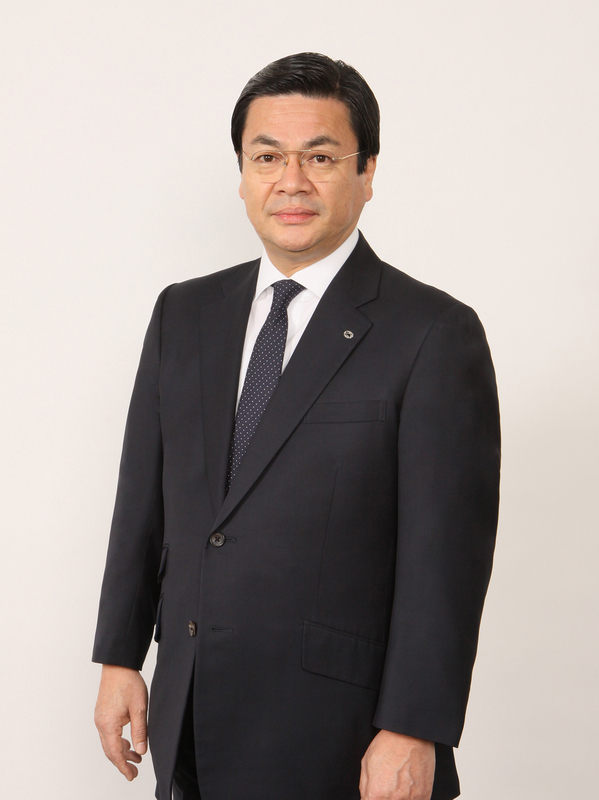 In February 2014, Mr Li was appointed as the President of the Company. 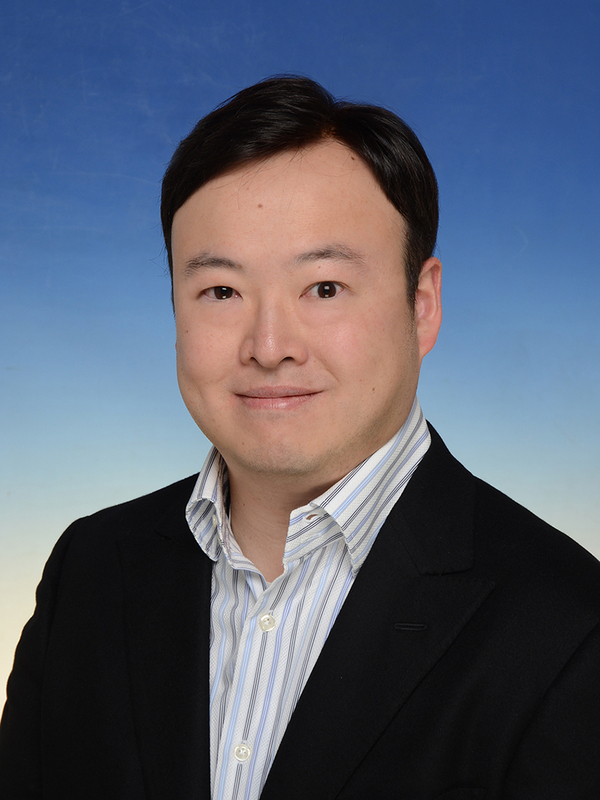 Mr Li was appointed as a Director of the Company in March 2014. Mr Willy Lin is Chairman of The Hong Kong Shippers’ Council as well as Hong Kong Productivity Council. Mr Lin is a member of the HKSAR’s Logistics Development Council, Maritime and Port Board, Trade and Industry Advisory Board under the Trade and Industry Department, and Manpower Development Committee of Labour and Welfare Bureau. He is also Honorary Chairman of Textile Council of Hong Kong, Hong Kong Exporters’ Association, and Hong Kong Knitwear Exporters’ & Manufacturers’ Association. Mr Lin is a Member of Chinese People’s Political Consultative Committee of Jieyang, Guangdong. Of his overseas affiliations, Mr Lin is Honorary Consul for the Slovak Republic in Hong Kong and Macao, member of the Board of Overseers of Babson College of the US, his alma mater, and Honorary Trade Advisor to the Ministry of Commerce of Thailand. 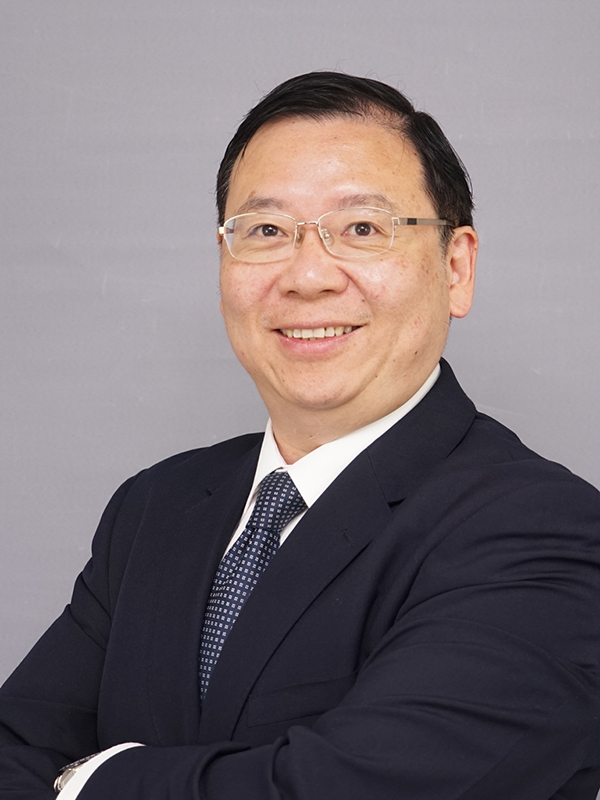 Mr Lin is Managing Director of Milo’s Knitwear (International) Ltd and CEO of Dongguan Tangxia Futung Knitwear Factory Ltd, and Non-Executive Director of Top Form International Ltd.
Mr Liu Wu is a pioneer and practitioner of modern logistics and supply chain management in China. Founded in 1994, PGL is the first company in China which brought in the third-party logistics concept, providing Fortune 500 such as P&G, Unilever, Samsung, Exxon Mobil with integrated supply chain services. Within 20 years of development, PGL is becoming a leading integrated supply chain service provider group which provides 3PL service, modern logistics-facilities investment, logistics + internet, supply chain finance, B2B e-commerce, commodity trading, international freight forwarding and big data service. 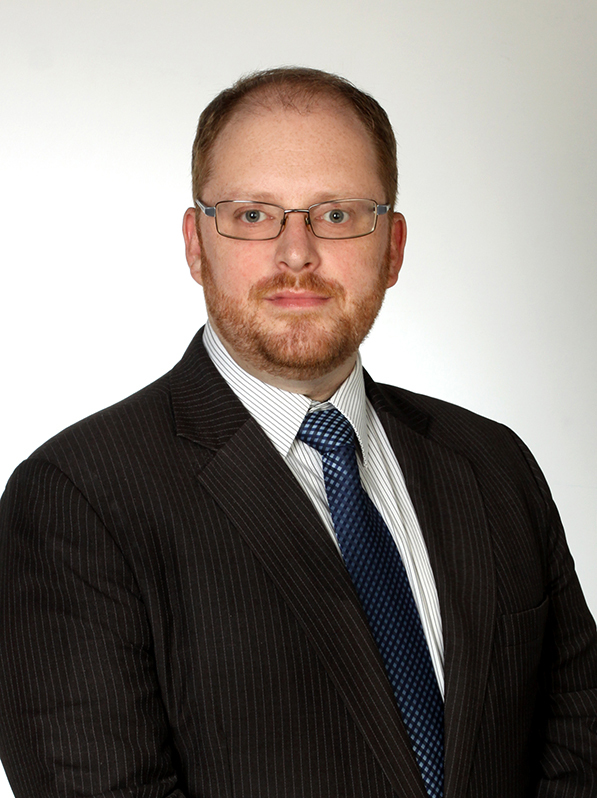 Ross Lockie is the ICAO Asia and Pacific Regional Officer (APAC), Aviation Security and Facilitation based in the ICAO Bangkok Office. Prior to taking this position Mr Lockie spent the previous 12 years as the Technical Coordinator/Audit Team Leader with ICAO’s Universal Security Audit Programme (USAP) leading over 60 aviation security audits and associated missions in all regions of the world to assess ICAO Member States’ levels of compliance with ICAO Annex 17 – Security and Annex 9 - Facilitation to the Chicago Convention. In addition to his role as an audit Team Leader Mr Lockie performed a leading role in the development and evolution of the USAP and auditing methodology and ensured technical coordination for the work of all audit Team Leaders and audits performed. Immediately prior to joining the ICAO APAC Office, Mr Lockie was seconded to work as a Legal Officer with the United Nations Security Council’s Counter-Terrorism Executive Directorate (UN CTED) based in New York City conducting assessments of UN Member State implementation of UN counter-terrorism Security Council Resolutions. Prior to joining ICAO in 2004, Mr Lockie worked as Security Operations Manager with AVSECO Ltd of the Hong Kong International Airport and before moving into the aviation security field served as a Detective Inspector with the Royal Hong Kong Police Force. Mr Lockie is a native of Scotland, UK and was educated at Dollar Academy and the University of Glasgow, obtaining a Master’s Degree in Philosophy, Politics and Economics. Hans is a successful entrepreneur and enthusiastic proponent of blockchain technologies. He is a Co-Founder of Chain of Things - a Hong Kong-based startup integrating blockchain & IoT devices. In 2012, he sold his previous company, a data collection and analytics research firm focused on mainland Chinese high-technology industries. He is an Internet industry veteran with regional management experience. During the Internet boom, Hans provided due diligence support for the internet.com Venture Capital Fund in Asia, investing in a number of Internet startups in Greater China. As a tech journalist in the late 1990's, he interviewed Jack Ma, Jerry Yang, Vinton Cerf and Richard Li Tzar Kai. Hans earned a PhD degree from the University of Hong Kong in 1997 and a Sir Edward Youde Memorial Fellowship in 1995-1996. 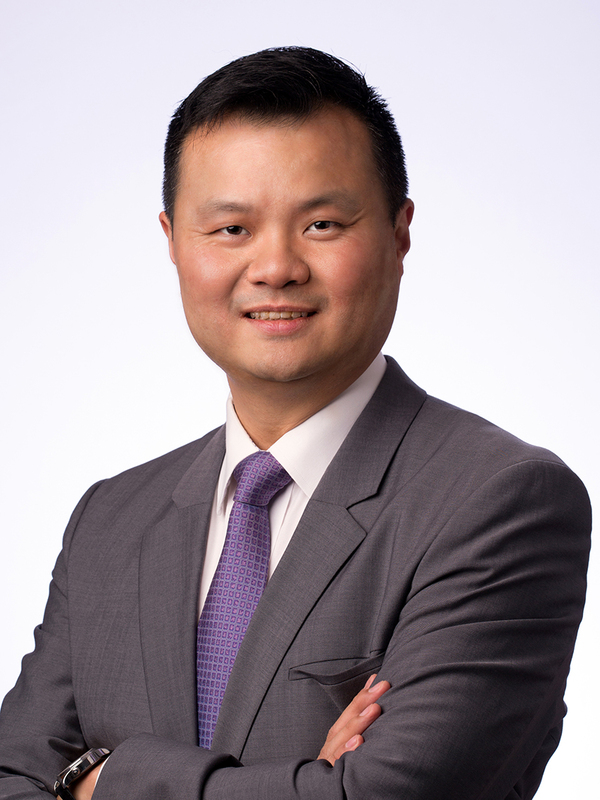 Paul Loo is the Chief Customer and Commercial Officer of Cathay Pacific, responsible for all customer and commercial related activities of both Cathay Pacific and Cathay Dragon. He also oversees international affairs and has overall responsibility for ensuring that information technology can be a key pillar for the airlines’ sustained growth and long-term success. 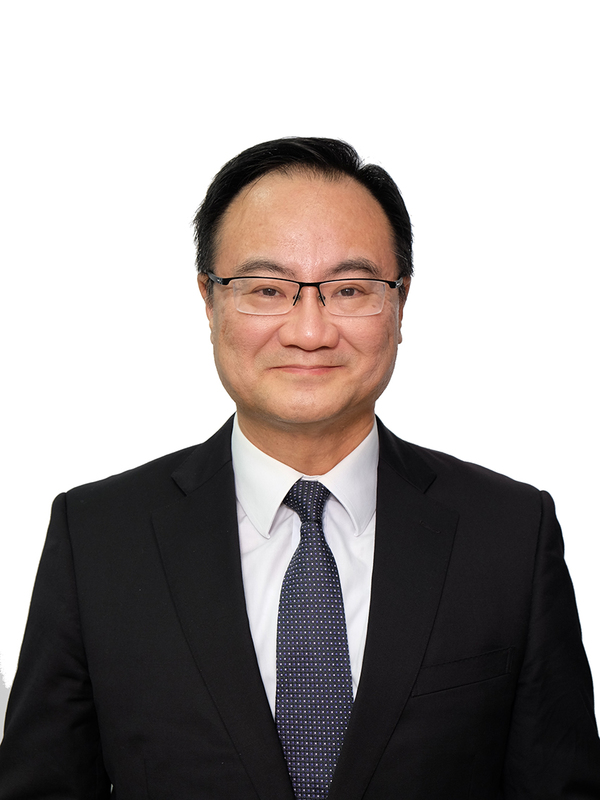 From August 2015 to May 2017, Mr Loo was the Director Corporate Development & IT, responsible for the development of the Cathay Pacific and Cathay Dragon networks and helping to plan the long-term strategic direction of both airlines. Prior to taking up a director role, Mr Loo worked as General Manager China from July 2014. Based in Beijing, he was responsible for overseeing the business and operations of both Cathay Pacific and Cathay Dragon in Mainland China. Mr Loo joined Cathay Pacific in 1991 and has held a number of overseas assignments with the airline in Taiwan, Mainland China, the Philippines, the Middle East and Japan. He has also held a number of managerial positions in Head Office, including General Manager HKIA, responsible for overseeing Cathay Pacific’s ground operations at Hong Kong International Airport, and General Manager Cathay Pacific Loyalty Programmes (CPLP), running the subsidiary of Cathay Pacific that at the time managed The Marco Polo Club and Asia Miles loyalty programmes. Mr Loo studied in Canada and holds an Engineering Science degree from the University of Toronto. He also has a Master of Business Administration degree from the University of Michigan. Mr Loo is also Chairman of the Board of Airline Representatives Hong Kong, and a Member of the Hong Kong Logistics Development Council. Ms Lu Xiaofeng, female, born in January 1965, native of Weinan, Shaanxi. Lu joined the Communist Party of China in June 1987, and has worked since July 1987. She graduated from Department of Economics, Sun Yat-sen University and holds the bachelor’s degree of economics. Presently, she serves as Deputy Mayor and member of the Leading Party Members’ Group of Zhuhai Municipal People’s Government. Brett Marshall is the Corporate Head for Quality Assurance for Zuellig Pharma based in Singapore. In this role Brett has reporting lines from Quality Assurance Heads in 12 Countries and oversight of Clinical Research Operations in another 4 Countries. Originally from Melbourne, Australia, Brett has a Bachelor Degree in Transport & Logistics Management from RMIT. He has 25 years’ experience in positions of Executive Management, Logistics & Supply Chain, Business Process Transformation and Quality Assurance, 15 years of which is in the Pharma Industry, and has spent more than 20 years in Asia living in Indonesia, Thailand, the Philippines, Bangladesh and now here in Singapore. Mr Misha Murakami is the Deputy Manager of the America Trade Division (ATD) for COSCO SHIPPING Lines Co Ltd, a position which Mr Murakami was appointed to in July of 2017 based in the company’s global headquarters located in Shanghai, China. Mr Murakami originally joined the company in 2006 in the Canadian headquarters located in Vancouver, BC where he held various positions in Marketing & Sales, both on a regional & national level. Mr Murakami brings over 16 years of transportation industry experience in both operational & commercial positions to his current role. Alan Murphy has 13 years of experience in Container Shipping research and analysis, with a focus on providing actionable intelligence and analysis, based on rigorous quantitative and econometric modeling. Mr Murphy has a degree in business economics and a background in academic Finance Research, before entering the logistics industry in 2004, working with project management and systems development at Maersk Line, and later as Senior Analyst of Maersk Line's Intelligence and Analysis section. In January 2011, Mr Murphy partnered with former Maersk Line and TCC Intelligence Director, Lars Jensen, founding SeaIntel, an industry-leading analysis and consulting firm providing actionable intelligence to the global Container Shipping industry. 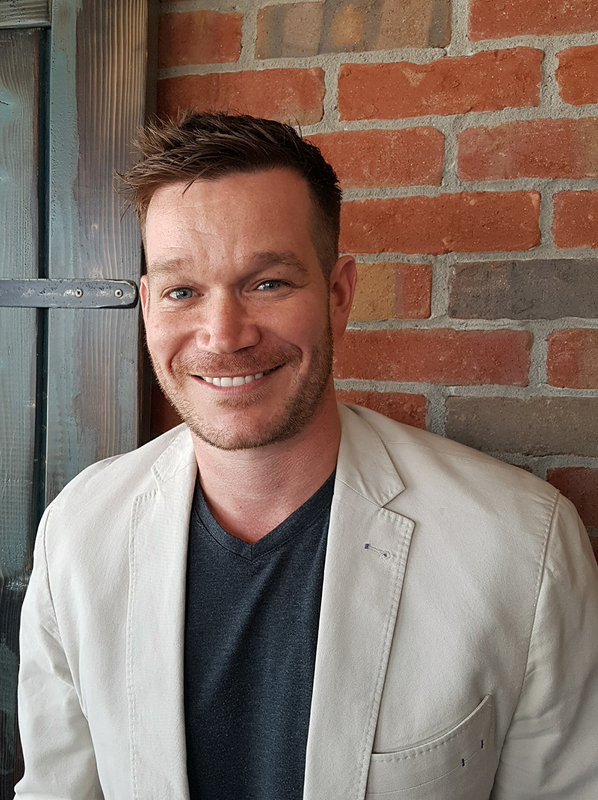 Chris is responsible for GCT Canada’s commercial activities, securing contractual relationships, and mutually beneficial sales strategies to generate volume via new markets for container traffic through their two marine terminals in Vancouver, BC. With 20 years of experience in marine operations and supply chain logistics in global trades, he oversees 85% of Vancouver’s terminal capacity (includes Deltaport, Canada’s largest marine terminal) - representing 78% of Port of Vancouver’s market share in container traffic. Chris joined GCT Canada in 1999 and held various positions in terminal operations before transitioning to his commercial capacity. In 2013, Chris was appointed Vice President, Marketing and Sales. He has developed a trust based network and established cross-functional alignment between customers and terminal operations in growing the Vancouver Gateway. Chris received his Bachelors of Business Administration and Economics from Simon Fraser University in British Columbia, Canada. In his spare time, he enjoys travelling. Also an avid runner completed his first marathon in 2009 and continues to enjoy distance running. Jeremy Nixon is now the CEO of a new liner shipping company, Ocean Network Express (ONE), which is headquartered in Singapore, and will be commencing full operations from April 2018. His career originally started at sea as a navigating officer, followed by a Bsc (Hons) in Maritime Commerce at Cardiff University (UK), and then four years at the Port of Felixstowe. In 1990 he completed an MBA at the University of Warwick (UK). He has been actively engaged in the container shipping industry for the last thirty years, and has held senior management positions with P&O Nedlloyd, Maersk Line and NYK Line, in Europe, North America and Asia. From April 2008 he joined the NYK Group as Managing Director of NYK Line Europe Ltd, based in London. Then in 2010 he transferred to Singapore to become COO of NYK Line’s new Global Liner Management Division. In 2012 he was promoted to CEO and went on to become a Corporate Officer of the NYK Group. In July 2017 he resigned from NYK to head up Ocean Network Express, which is a new joint venture company founded by the K Line, MOL and NYK Group companies. Domenik Nizet is a multi-faceted maritime banker who started his banking career in 1992 with HSH Nordbank, covering shipping clients based in Northern Europe, Scandinavia and the US. From 2005 he was responsible for the Shipyard Consulting business at UniCredit advising public authorities, ship owners and investors in evaluating opportunities and solving challenges related to the shipbuilding industry in Europe and Asia. He is a former lecturer at Frankfurt School of Finance & Management. He joined DVB Bank SE in 2008 and since 2010 he is based in Singapore covering DVB’s shipping finance activities and advising clients on the wide-ranging platform of maritime finance services and products. DVB’s Shipping & Offshore Finance loan portfolio amounts to EUR 14.3 billion / FY 2016. 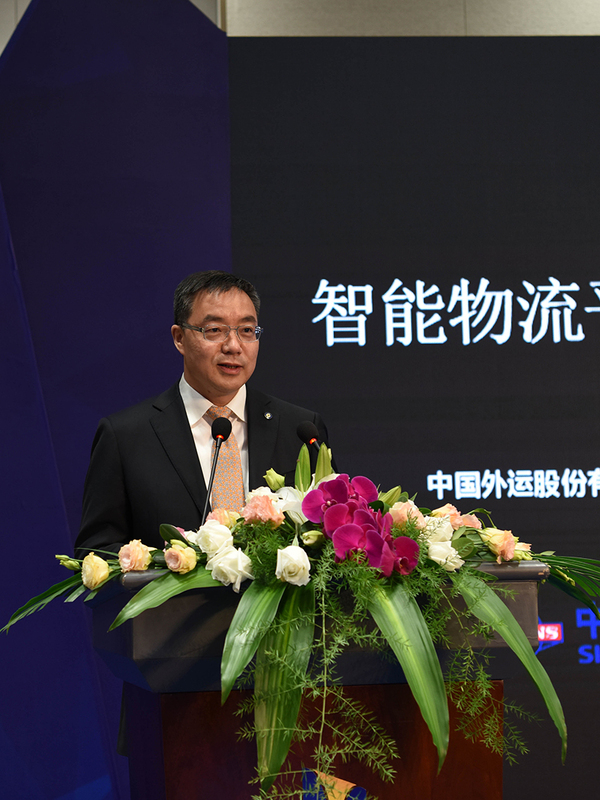 Ou Huisheng, Ph.D. Economics, Senior Economist, Accountant, CICPA; The Chairman and secretary of the party committee of Zhuhai Port holdings group Co., Ltd., and Chairman of the Board of Zhuhai Port Co, Ltd, was honored as "The top 10 most influential people of the Chinese Port in 2016". 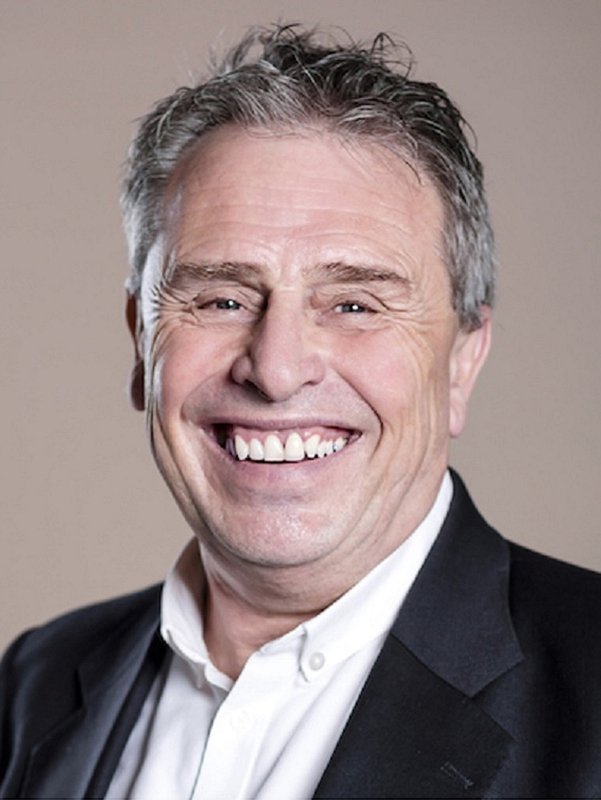 John is a resourceful supply chain executive with 37 years of comprehensive supply chain management experience, and a proven track record of delivering clearly articulated strategic leadership and execution. With a career spanning three Continents, working with multiple Fortune 500 companies, and utilizing vast skills and capabilities in Business Development, Customer Relationship Management, Operations, Process improvement and Solutions Engineering. 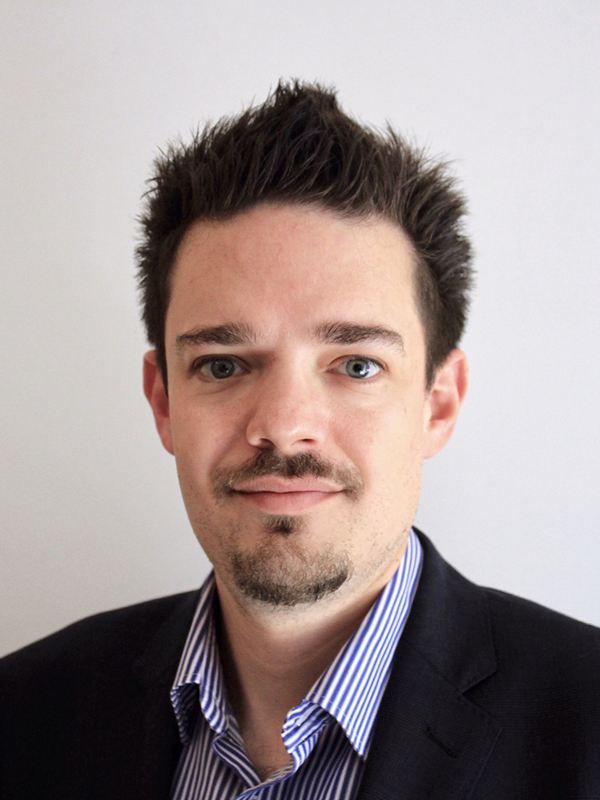 John joined the LF Group in January 2007 as MD LF Logistics, Hong Kong; from 2009-2013 John was EVP LF Logistics, Europe. Currently John is Executive Director, Head of Hong Kong and Head of Global Business Development. John is an Australian citizen, currently living in Sai Kung, New Territories, Hong Kong. Leisure time includes keeping fit, hiking over the numerous Hong Kong trails, previously running marathons in London, Macau, Hong Kong and the Comrades ultra-Marathon in South Africa and finally playing golf badly! 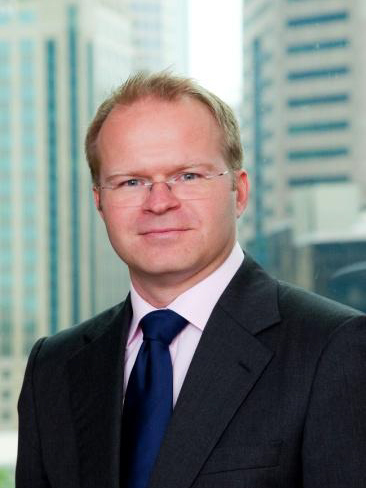 Julian Proctor is the Managing Director and Chief Investment Officer of Tiger Group Investments (“Tiger”) based in Hong Kong, a position he has held since 2008. He is on the board or an observer of all Tiger’s portfolio companies and is active in the origination and portfolio management of their investments. Between 2001 – 2008, he held various positions at BNP Paribas Fortis, culminating as the Chief Strategy Officer (Asia-Pacific), responsible for group strategy and corporate development and sat on the management board of the banking, insurance and asset management businesses. 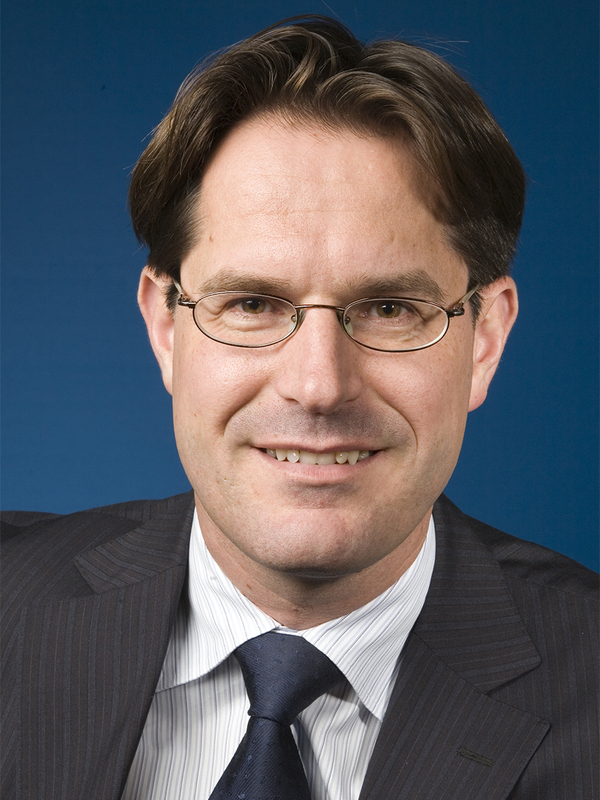 From 1997 to 2001 he held positions at ABN Amro and Rothschild in their principal finance and investment banking units. Mr Proctor is a graduate of both the University of Cambridge and London School of Economics. Charles Raymond, President and CEO. Started his career at Ray-Mont Logistics in 2000 as a bagging handler. Charles also pursued his Bachelor's degree in Electrical Engineering at École Polytechnique. Combining both his self-discipline and willingness to learn, Charles graduated in 2003 and accepted the position of Computer Programmer, Project Manager and Technical Engineer within the company. This gave him the opportunity to design, build and innovate within Ray-Mont’s core competitive advantage. Following a perilous financial situation in 2006, Charles took control of the company as President. He redefined the company's culture and succeeded in a dramatic turnaround in just 12 months, which enabled the company to survive. This major shift earned him an honorable mention as “Young Entrepreneur of the Year” in 2008. Since then, the company has grown exponentially, seeing the birth of merchandise brokerage firms in Montreal and Spokane Valley in the United States, as well as new terminals in Vancouver and Prince Rupert. It has been experiencing immense growth at an average of 25% per year over the past 10 years. 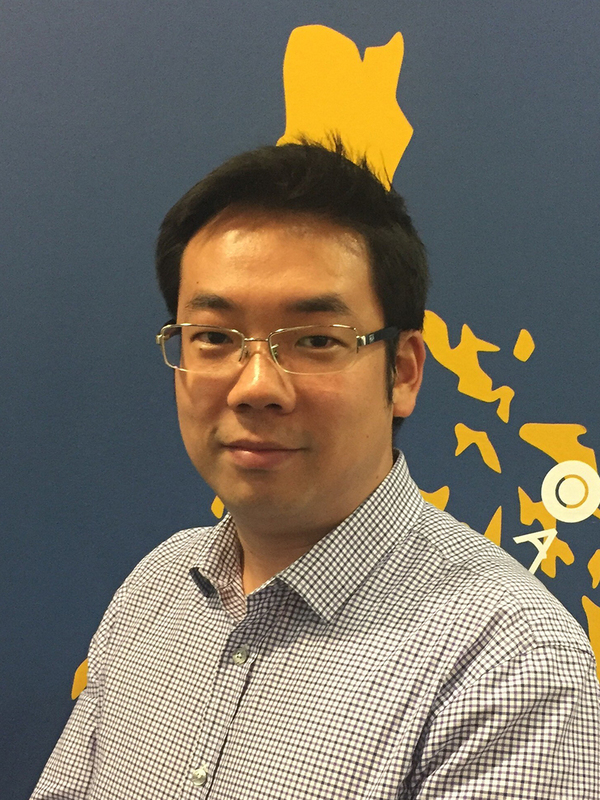 Dr Ren is currently leading the cognitive logistics research group at IBM Research - China. He has devoted himself into the research of applying innovative technologies such as big data, artificial intelligence, blockchain, etc to solve logistics and supply chain problems, and he also rich industry experience. He led to win 2008 Supply-Chain Council Global Supply Chain Excellence Award based on the contributions on supply chain optimization. Dr Ren received his PhD degree in Tsinghua University, Beijing, China, and he has published more than 80 academic papers in journals and international conferences, and holds more than 20 patents. Jean-Jacques Ruest was appointed Executive Vice-President and Chief Marketing Officer in January 2010, with responsibility for providing the strategic direction and leadership for CN’s Sales and Marketing. 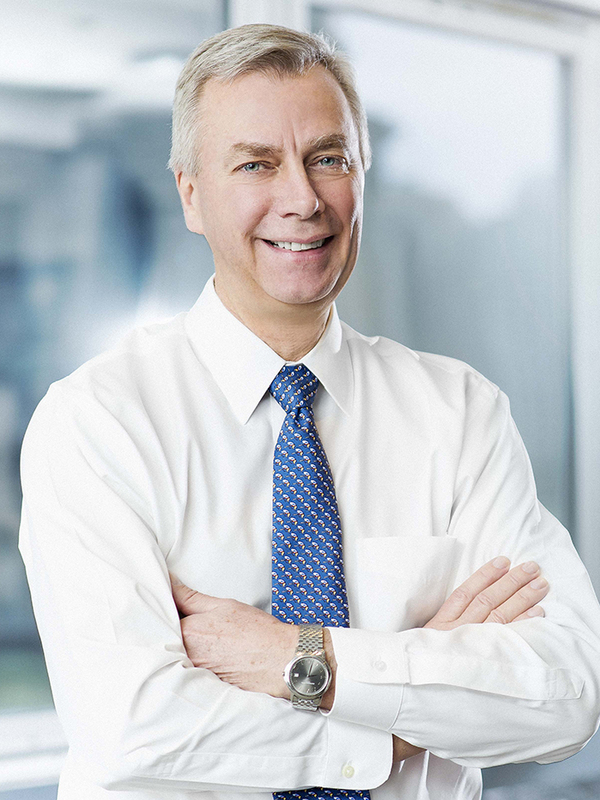 Mr Ruest joined CN in 1996 as Vice-President, Petroleum and Chemicals. He was appointed Vice-President, Industrial Products in 2003, Vice-President, Marketing in 2004, and Senior Vice- President, Marketing in June 2006. Prior to this, Mr Ruest worked for 16 years at a major international chemical company. Mr Ruest holds a Masters in Business Administration in Marketing from Université de Montréal and a Bachelor of Science degree in applied chemistry from Université de Sherbrooke. He also completed the executive program of the University of Michigan Business School, and CN’s Railroad MBA program. 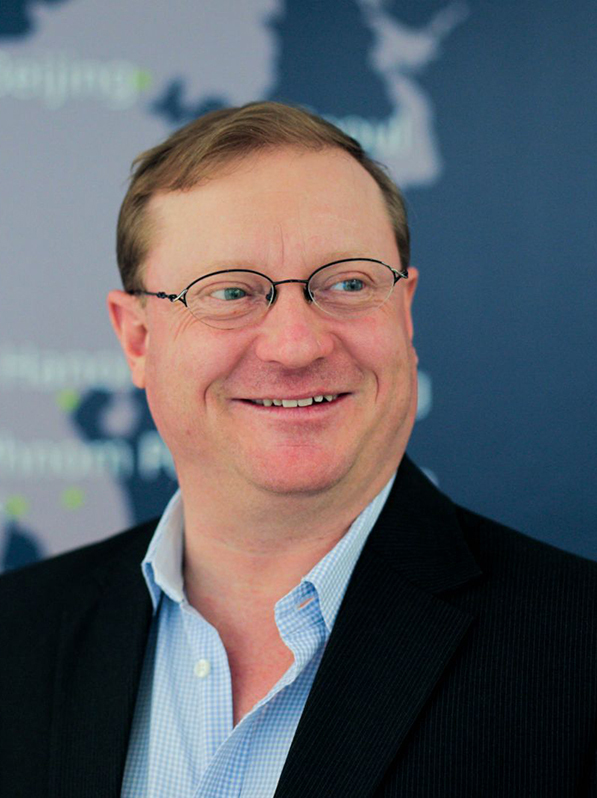 Recognized as a leading voice on the topic of supply chain, JJ leverages over 30 years of global business expertise. He has played a pivotal role in converting CN from a railroad mindset, to an end-to-end supply chain mindset. This is how CN helps our customers succeed. JJ continues to travel the world to immerse himself in the landscape of global trade, while remaining engaged with supply chain and logistics associations across North America. Peter Sand joined BIMCO in 2009 and holds the position of Chief Shipping Analyst. In this position, he is responsible for analysing the commercial markets for dry bulkers, tankers and containerships. Taking the offset in global economics as the analytical starting point for all seaborne trade, he assists managements, members and clients with insight into many different aspects of the global shipping industry. Peter’s regular reports, focused analytical articles and insightful comments on the shipping market are widely read and have often been referenced in global mainstream media. Teacher of Maritime Economics at the Danish Shipping Academy as well as guest lecturer at Copenhagen Business School - Blue MBA and Shipping bachelor. During the rise and fall of the shipping markets Peter gained experience in the fields of shipping analysis, executive assistance, caretaking of investors and the art of transforming data and statistics into overviews and forecasts. Prior to his career in BIMCO, he worked for the dry bulk and product tanker company D/S NORDEN. Peter holds a Master’s Degree in economics from the University of Copenhagen. 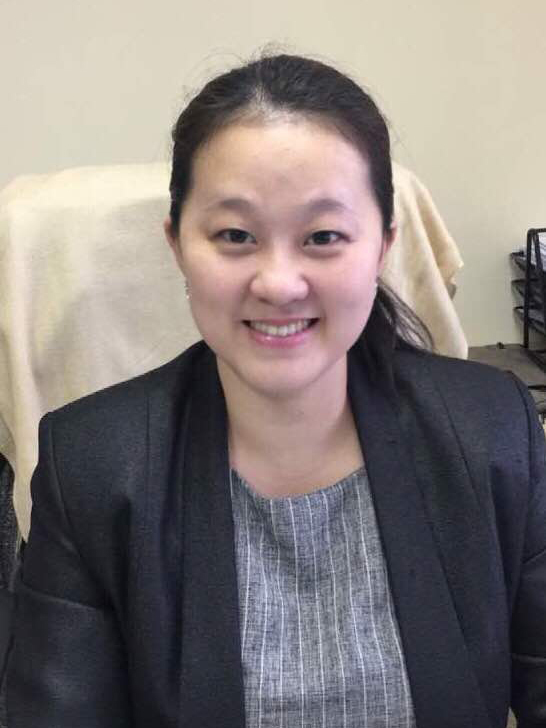 Alaina Shum joined Airport Authority Hong Kong in March 2010 where she held various senior management positions including her current role as General Manager, Aviation Logistics in charge of airside support services (including air cargo) and General Manager, Terminal 2 & Landside. 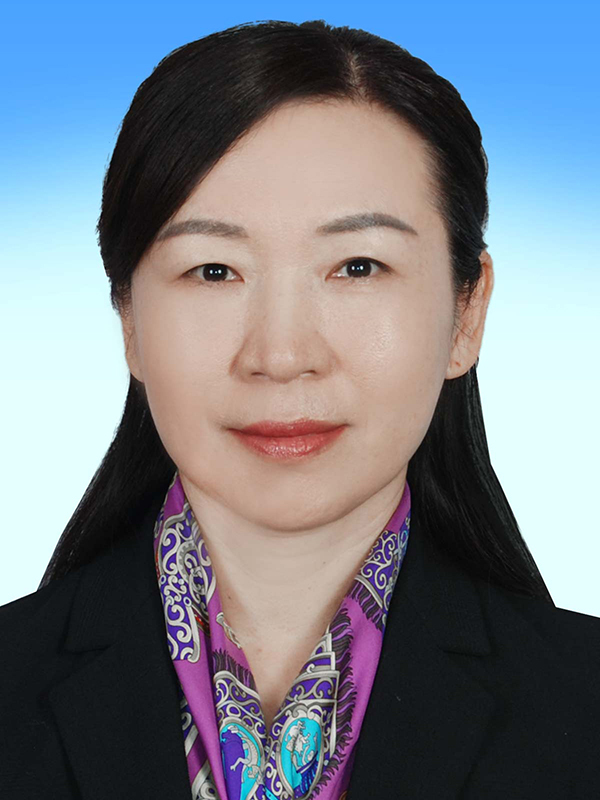 She has also been appointed as Director of Hong Kong - Zhuhai Airport Management Company Limited from June 2010 to July 2014, a joint venture of Airport Authority Hong Kong and Zhuhai Airport. She is currently a member of the HKTDC Logistics Services Advisory Committee. Alaina has more than 20 years of working experience in various industries including transportation, airlines, freight forwarding & logistics. Before joining Airport Authority Hong Kong, Alaina served United Parcel Services as its Senior Director, Business Development Asia Pacific. Prior to that, she gained substantial management experience in multinational companies while holding senior positions at DHL (Exel) in Asia Pacific and Cathay Pacific in Hong Kong with responsibility for business development and strategic marketing. Alaina holds a Bachelor Degree in Commerce, Finance, Economics and Actuarial Science from University of Toronto and an MBA Degree in AGSM (Australian Graduate School of Management) from University of Sydney. Paolo Emilio Signorini was appointed President of Genoa and Savona Port Authority on last 2nd December 2016. He graduated in Political Sciences at the University of Florence and later studied at Yale Law School. He started his career at the Bank of Italy and at the Ministry of Economy and Finance. Later, he served as Head of the Economic Planning Department of the Prime Minister Office (2008 – 2013) and as Head of the Infrastructure Department at the Ministry of Transport (2013 – 2015). He served in several Boards of Directors of the major infrastructure and transportation Companies, such as Italferr and Telt SaS (Turin – Lyon). Jeff Steilen is the Vice President of Information Technology (IT) for the UPS Asia Pacific (APAC) Region. Based in Singapore, he leads a 60-person team responsible for the enablement, support, and maintenance of technology solutions for UPS and its customers across APAC. In this capacity, Jeff also manages UPS’s regional IT infrastructure, applications development, telecommunications, as well as key aspects of IT governance including compliance, data privacy, and information security. Over the years, Jeff has been instrumental in several organization-wide projects, and has managed a diverse range of IT-related projects involving touchpoints across functions such as Billing, Budget and Planning, Electronic Data Interchange (EDI), Human Resources and Payroll, Social Media, and Supply Chain Solutions. Jeff’s role in the deployment of UPS’s Human Resources Service Center resulted in the modernization, streamlining, and automation of several processes that improved workflow efficiency and enhanced communications to UPS’s global workforce of 434,000 employees. He has also designed numerous innovative turnkey solutions to complex business needs, driving tangible operational improvements for customers worldwide. Jeff’s 32-year career with UPS began as a part-time loader in Illinois. Since then, he has assumed several leadership positions across all aspects of IT, establishing an extensive network and deep expertise. Prior to this appointment, Jeff was based in Alpharetta, Georgia, serving as Director of Applications Development for Global Distribution and Global Post Sales Systems in UPS IT Supply Chain Solutions. Jeff holds a bachelor's degree in Computer Information Systems from the DeVry Institute of Technology in Lombard, Illinois. A strong advocate for cancer research, Jeff has been an active volunteer with the American Cancer Society for many years, and in 2014 received the President’s (United States) Volunteer Service Award. He is also passionate about people development and nurturing the next generation of leaders in UPS. Together with wife, Shawna, Jeff has an 11-year-old son, Trestan. Dr Martin Stopford is a graduate of Oxford University and has a PhD in International Economics from London University. During his 45 years in the Maritime Industry he has held positions as Director of Business Development at British Shipbuilders; Global Shipping Economist with Chase Manhattan Bank N.A. ; Chief Executive of Lloyds Maritime Information Services and an Executive Director of Clarksons PLC. Dr Stopford is currently Non-Executive President of Clarkson Research Services Limited (CRSL) and Director of MarEcon Ltd, an e-learning business. He is visiting Professor at Cass Business School, Dalian Maritime University and Newcastle University and has an Honorary Doctorate from Solent University. His publications include “Maritime Economics” 3rd Ed, the widely-used shipping textbook (2009), now translated into Japanese, Greek, Portuguese, Turkish and Chinese. Also, many papers on shipping economics and ship finance. He received various awards: Lloyds List lifetime achievement award 2010; Seatrade Global Shipping Personality of the Year 2013; Onassis Prize for Shipping 2015, and Capital Link Shipping Leadership Award 2016. 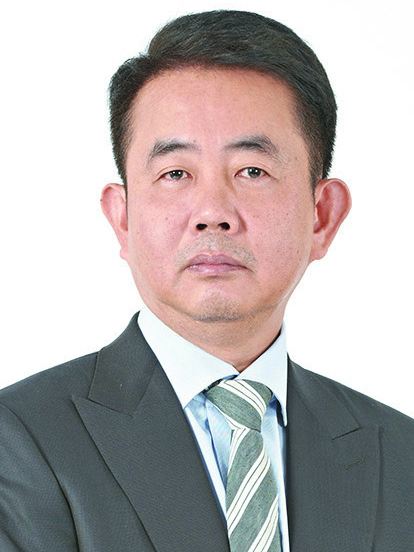 Chee Hong is the Chief Operating Officer of Hong Kong Air Cargo Terminals Limited (Hactl). He has overall responsibility of People, Technology and Facility of SuperTerminal 1, the world single largest air cargo terminal at Hong Kong International Airport (HKIA) and the world busiest air cargo hub with annual handling capacity of 3.5 million tonnes and 2,400 staff from service delivery, ground services, information technology, engineering, facility management, security, performance enhancement and learning & development. Hactl’s goals are to become “Partner of Choice” of our customers and “Employer of Choice” for our employees. 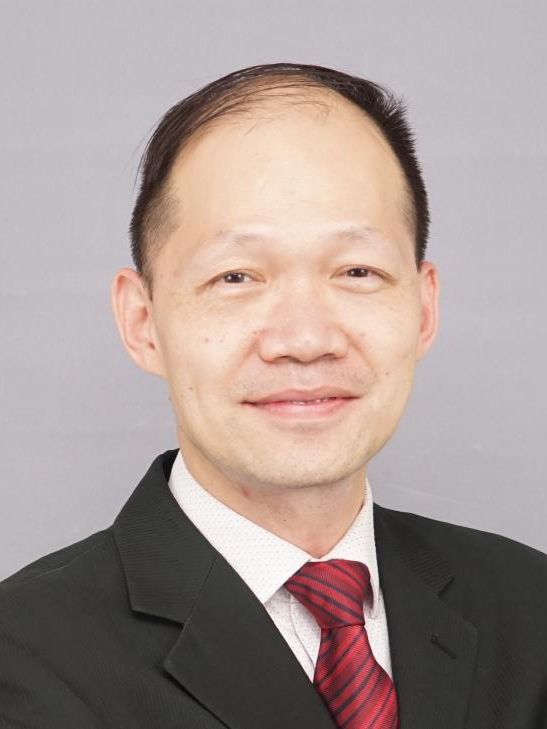 Chee Hong is also a Director of HACTL Solutions Limited, responsible for overseeing the strategic development and maintenance of the award winning air cargo management system – COSAC-Plus. Arkhom Termpittayapaisith, has joined NESDB since 1979 which is considered to be the key agency on planning and formulation of development strategies in Thailand. Throughout his years in NESDB, Arkhom has held series of directorship and taken a lead role in many infrastructure development projects and formulation of vital development strategies which proven to be crucial for the nation to achieve the sustainable development goals. As top executive of NESDB, Arkhom has taken philosophy of sufficiency economy by heart and use it as a foundation in development strategy in light of shaping the nation toward more balanced development. Arkhom also played vital roles as board of directors in many nation’s lead state-own-enterprises until August 2014 prior to the appointment as Deputy Minister of Transport. These included PTT Public Company Limited, Airports of Thailand Public Company Limited, and Thai Smile Airways Company Limited. 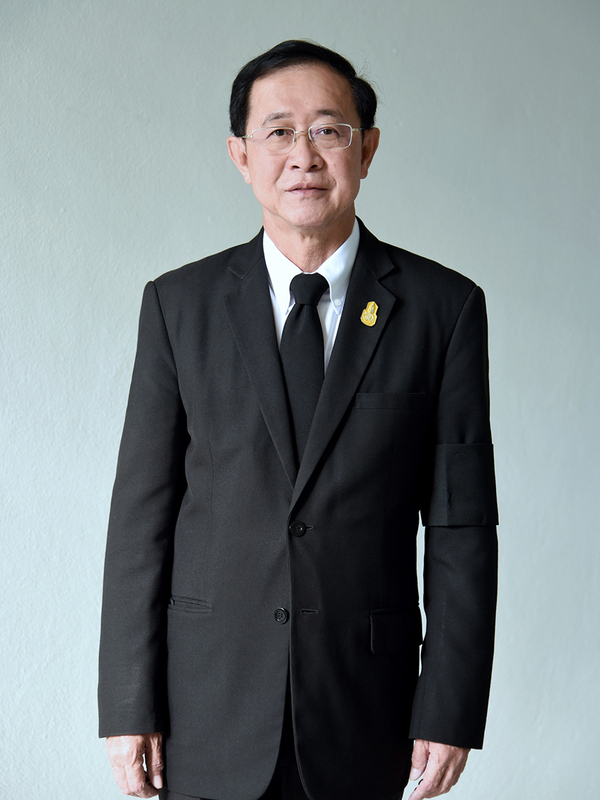 His roles also extend toward the international community through his extensive involvement in neighboring countries development cooperation especially in cross-border infrastructure projects to connect all the Greater Mekong Subregional Economic Cooperation (GMS) countries which later lead to the Master Plan on ASEAN Connectivity. 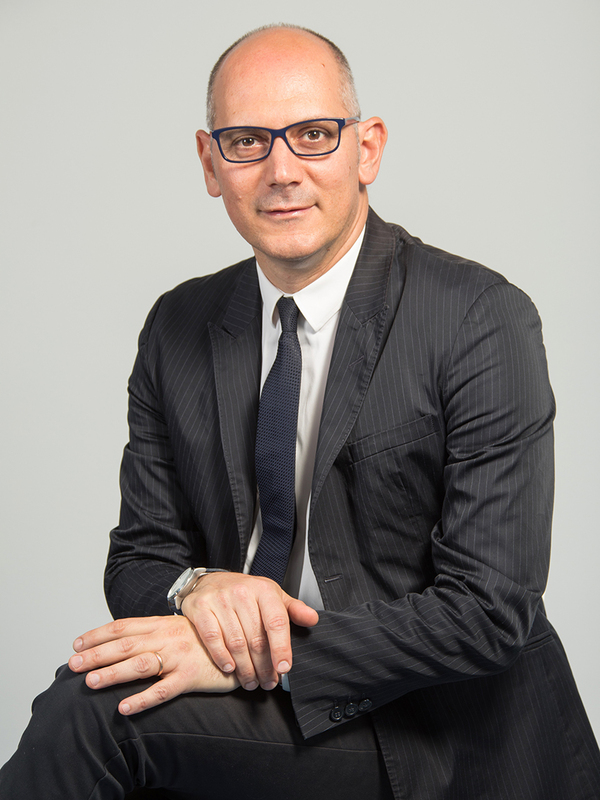 Daniele Testi is the Marketing & Corporate Communication Director of the Contship Italia Group, since January 2006. Part of Contship Italia holding company since May 2002, Daniele comes from previous professional experiences in KPMG consulting as senior consultant and in the Tarros Group, as container control manager. Since September 2014, Daniele is also President of SOS-LOG (www.sos-logistica.org/en) the Italian Association for Sustainable Logistics. Michael Tse is the Co-Founder of a leading organic products online retailer and distributor, Organic Taste, which was established in 2015 in Hong Kong. He is committed to promote premium quality certified organic products to the Asia Pacific region. He is also passionate in innovating digital marketing and e-commerce strategy in order to secure the leading position in the market. With his solid experiences, he led the company to become one of the top online retailers for organic products in Hong Kong. In 2017, Organic Taste received several industry recognitions, including Top 10 E-Commerce Website Awards 2017 (organized by Retail Asia Expo & GS1 Hong Kong), and the Top 10 Best Online Brand Awards 2017 (organized by Hong Kong Netrepreneurs Association). Michael received Master Degree in Business Administration from the Hong Kong University of Science & Technology. He is also a Executive Member of Hong Kong Institute of Marketing. 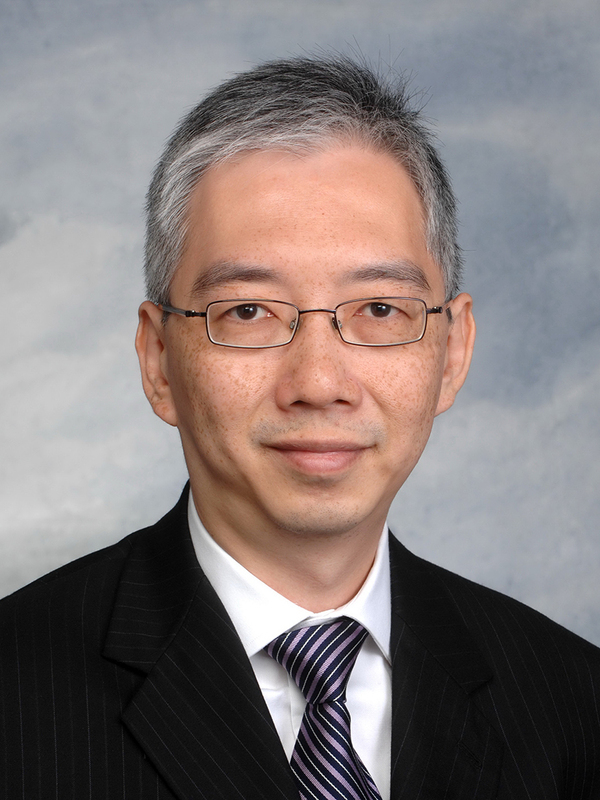 Mr Michael Tung serves as Senior Executive Manager, Centre of Excellence, Supply Chain Management at DKSH. Being the leader in Market Expansion Services, DKSH specializes from sourcing, marketing, sales to distribution with turnover over CHF10.5 billion and 30,000 specialists. Michael has served as the Chairman of the Supply-Chain Council for Greater China Chapter during 2004 to 2008 and have dedicated in the area of process and profit optimization. 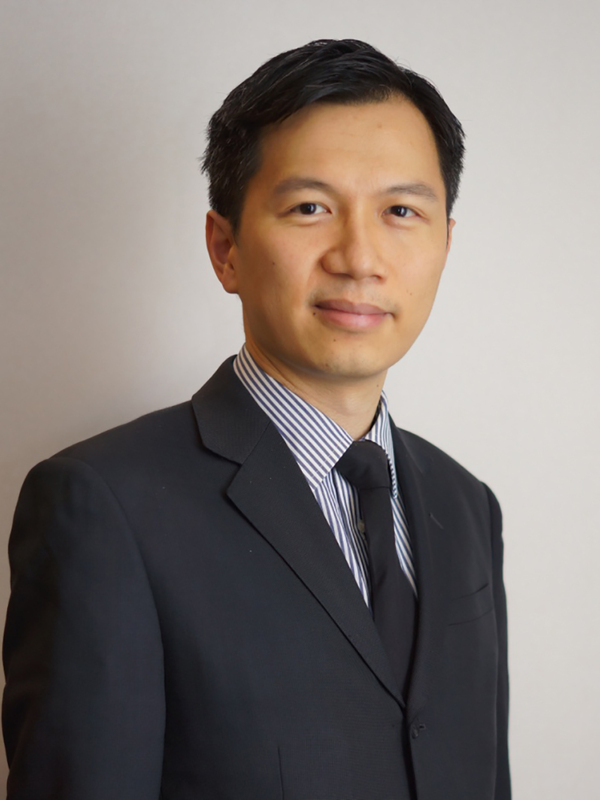 He is a practising Fellow Certified Public Accountant in Hong Kong and has a degree in Master of Laws in Arbitration and Dispute Resolution. 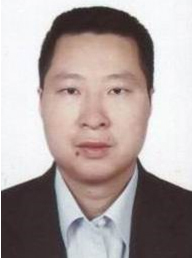 Dr Wei Jigang is a Senior Research Fellow, Director of Division in Industrial Economic Research Department of Development Research Center of the State Council (DRC). PHD in Economics, Post Doctor in Management Science, Visiting Fellow at Harvard University Kennedy School. He is Long term engaged in the research on industrial economy and social policy, participated in policy research on transportation, logistics, manufacturing industry, emerging industry, energy, health industry etc., he is Winner of First prize for China Development Research in 2007 and 2009. A 35-year career in maritime transportation qualifies Tissa Wickramasinghe to be considered one of Sri Lanka’s most eminent professionals in the field. Currently Chief Business Development Officer at Colombo International Container Terminals Ltd (CICT), the only deep-water container terminal facility in the Port of Colombo, and at US$ 500 million the largest maritime infrastructure investment in Sri Lanka, his career encompasses 25 years in the Ports and Terminals industry, and 10 years with the British Merchant Navy. A British-qualified Marine Engineer, he served for 10 years as General Manager of South Asia Gateway Terminals (Pvt) Ltd (SAGT) the first public-private partnership project of the Port of Colombo, and as Director Projects in the Transport Sector, responsible for overseas port development business at Sri Lanka’s leading conglomerate John Keells Holdings (JKH), prior to joining CICT. 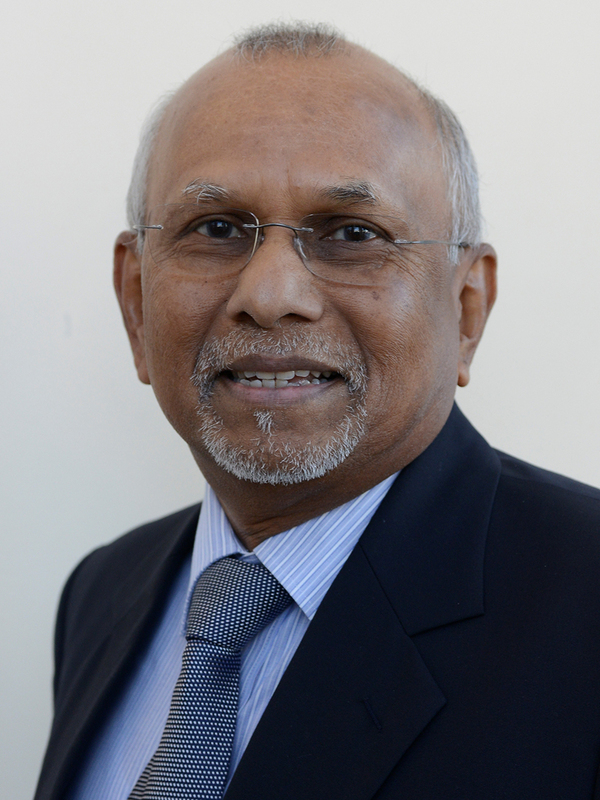 Tissa Wickramasinghe’s extensive experience in the Port and Terminal industry in the public and private sectors in Sri Lanka and overseas includes the negotiation of Public, Private Partnership (PPP) projects with state authorities and the establishment of new joint venture port projects under Public / Private Partnership schemes. He has the rare distinction of possessing knowledge, skills and working experience in the technical and operational aspects of port management as well as in marketing and commercial aspects. He is a Fellow of the Institute of Marine Engineering Science & Technology (UK) and a Fellow of the Chartered Institute of Logistics & Transport (UK). 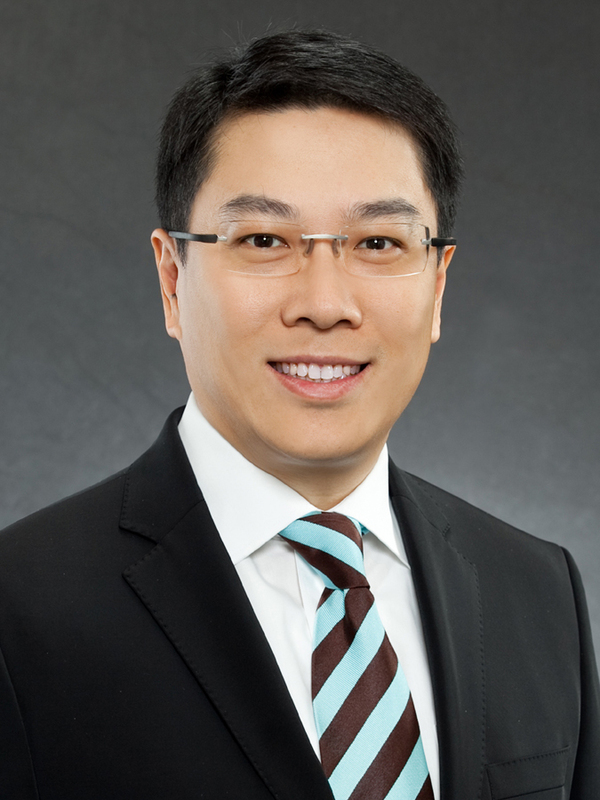 Mr Simon K Y Wong is the Chief Executive Officer of the Hong Kong R&D Centre for Logistics and Supply Chain Management Enabling Technologies (LSCM R&D Centre). It was established in 2006 by the HKSAR Government and charged with the mission to research and develop relevant technical solutions to serve the logistics, construction and eCommerce industries in Hong Kong and the Pearl River Delta region. Mr Wong has more than 30 years of working experience in the commercial sector. Before joining the LSCM R&D Centre, Mr Wong held a number of technology development and management positions in Hong Kong and Taiwan. He worked at the General Electric Company between 1996 and 1999 and from 1999 to 2004, he was the President of GE Appliances Asia. He joined Johnson Electric in 2004 as the President of JE Trading Limited. He was highly involved in developing supply chain solutions for customers and exploring new business models. He held this position until 2010. Mr Brian Wu has joined the cargo industry since 2003. He is the Director of BEL International Logistics (formerly known as Broadair Express), a leading Hong Kong-based company established in 1978. Prior to joining BEL, he has worked in different freight forwarding companies with roles involved in operations, customer services, sales and management. Mr Wu acquired a Master of Science degree in London School of Economics and Political Science and a Bachelor of Science degree in Business Administration (major in Information Systems) in Hong Kong University of Science and Technology. Raymond Yip is the Deputy Executive Director, Marketing, of the Hong Kong Trade Development Council (HKTDC), the statutory organisation responsible for promoting and developing Hong Kong's international trade in products and services. Mr Yip has worked in a variety of positions and offices at the HKTDC, including in New York, Tokyo and London. His recent postings include: Director, Industry Promotion; Director, Exhibitions; Director, Information Service (E-commerce development); and Regional Director, Western Europe/Middle East and Africa (based in London). In his present position, Mr Yip is responsible for the HKTDC’s marketing and external relations, as well as the organisation’s network of more than 40 offices worldwide. He also oversees promotion of product and service sectors, in addition to corporate marketing and communication. Mr Yip graduated from the Chinese University of Hong Kong with an honours degree in Business Administration. He attended the Columbia Senior Executive Programme in 2003, and holds a Graduate Professional Diploma in E-Business, awarded by Michigan State University. He is a Fellow of the Chartered Institute of Marketing of the UK. Mr Yochai joined Zim in 2011 with a long record of senior managerial experience in shipping and logistics. 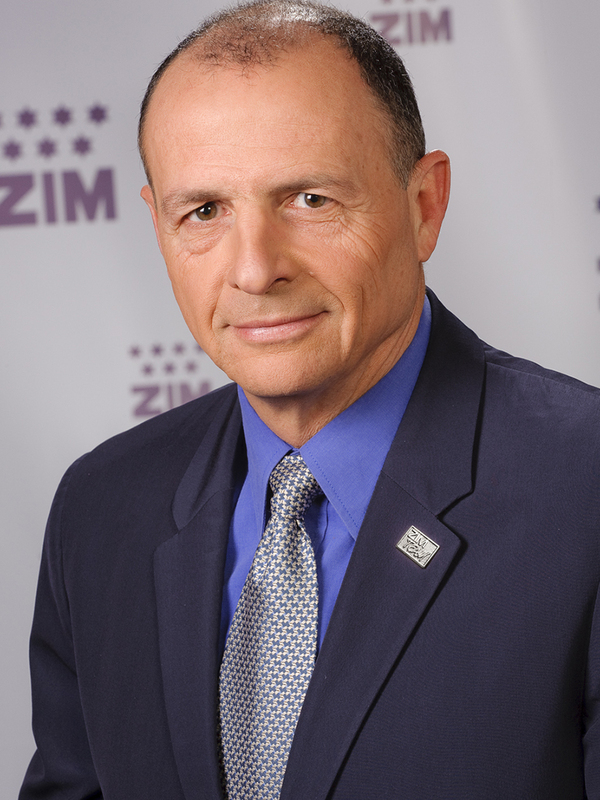 Before his current position, Nissim Yochai served as ZIM’s VP Corporate Customer Relations at ZIM head office and VP Global Sales. Before joining ZIM, Mr Yochai served as Managing Director of Aviv Shigur Ltd, a courier services company, and General Manager of Fridenzon Air and Ocean LTD. Mr Yochai worked for DHL express in variety of commercial roles including Commercial Manager for South East Europe, and Europe Sales Performance Manager among others. Mr Yochai holds a degree in Business and Economics from Bar Ilan University, and an MBA from the New York Institute of Technology.